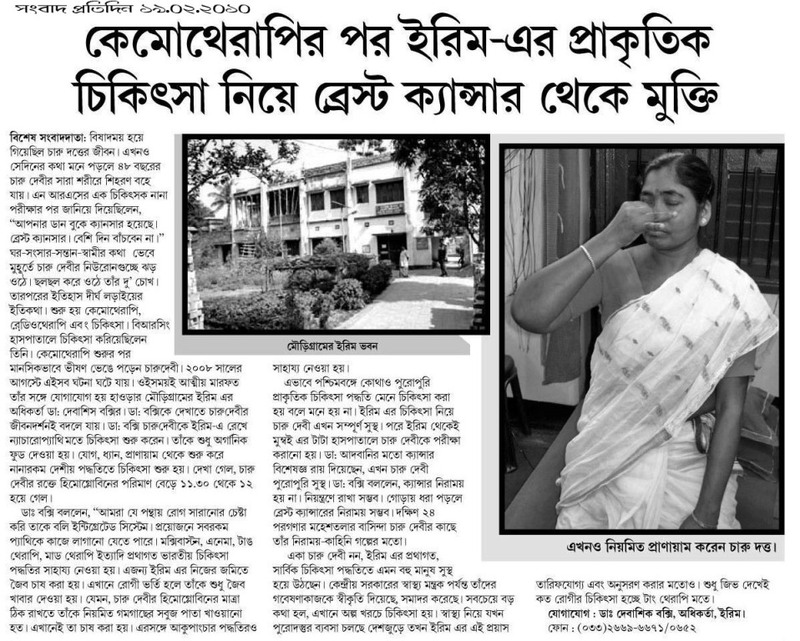 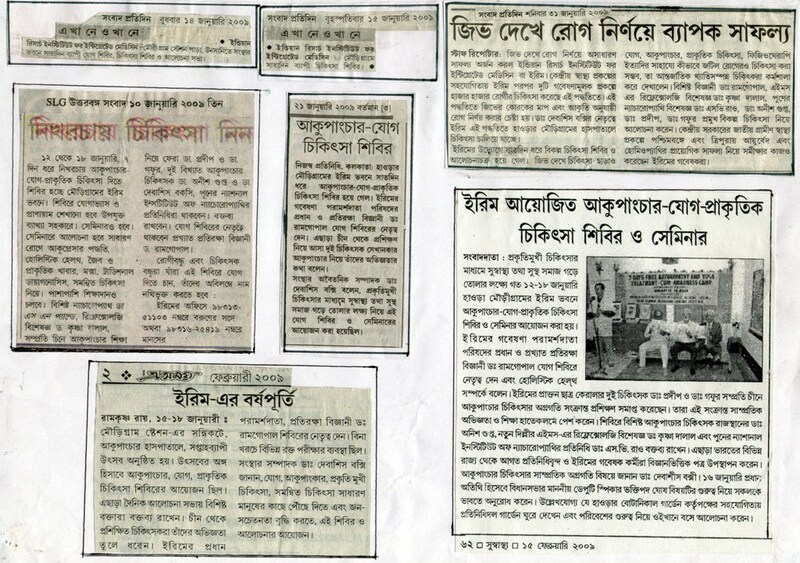 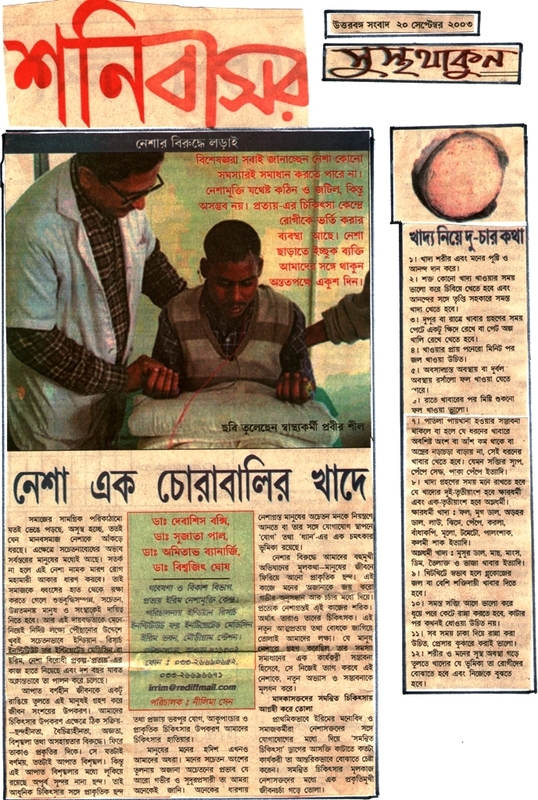 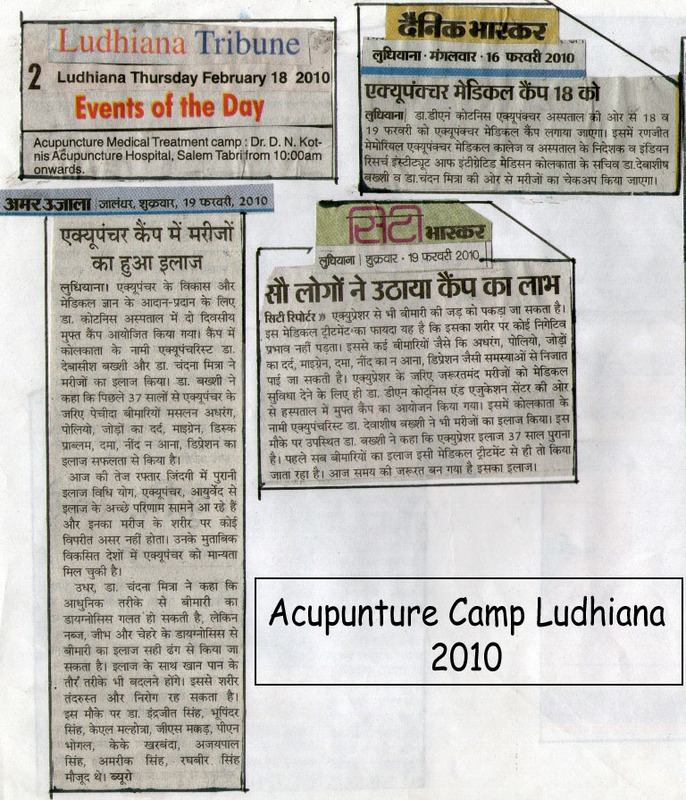 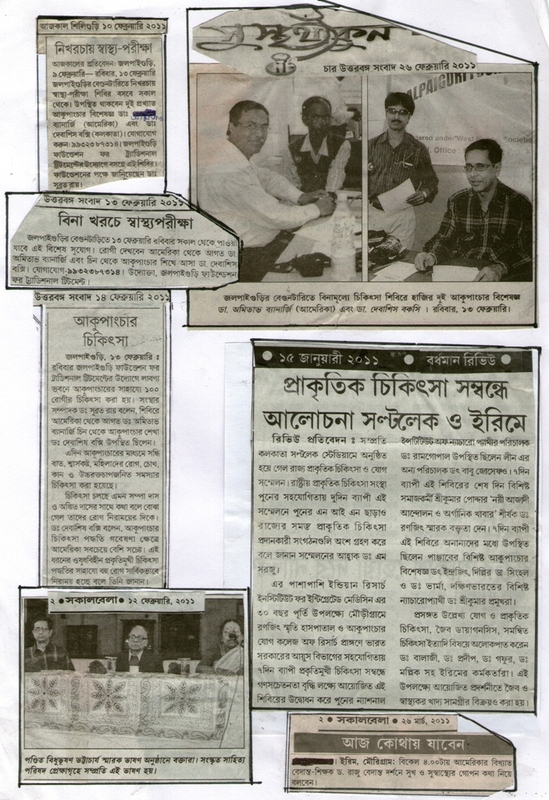 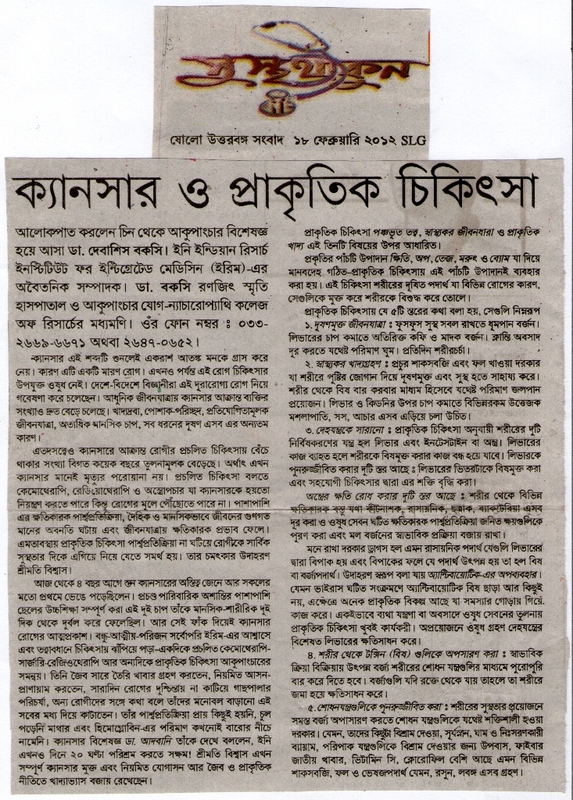 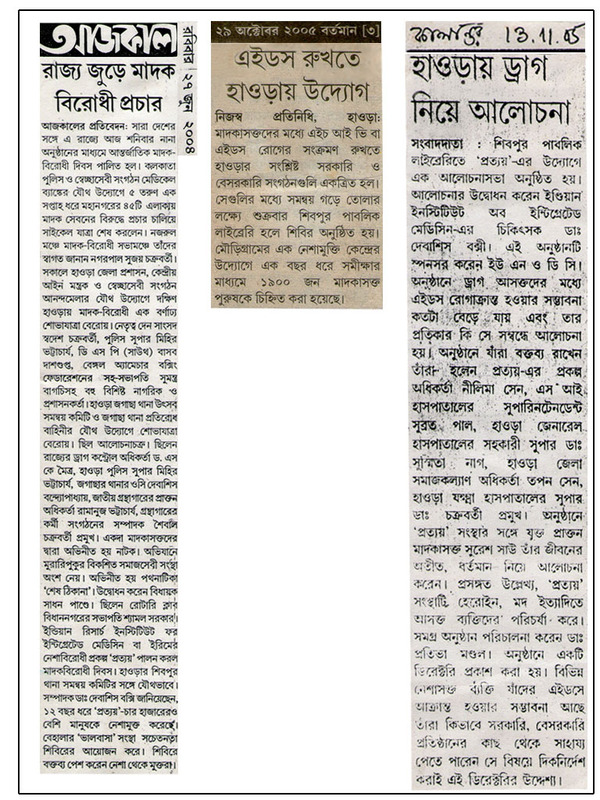 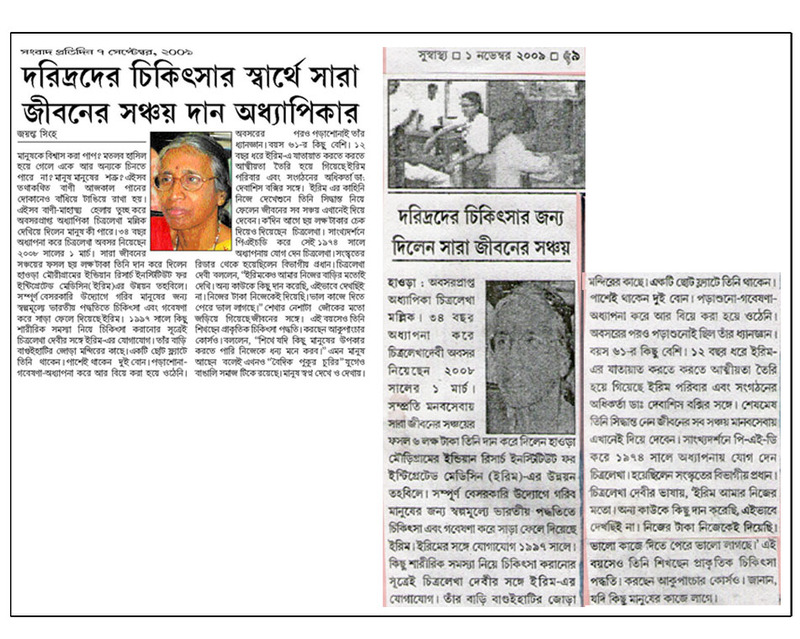 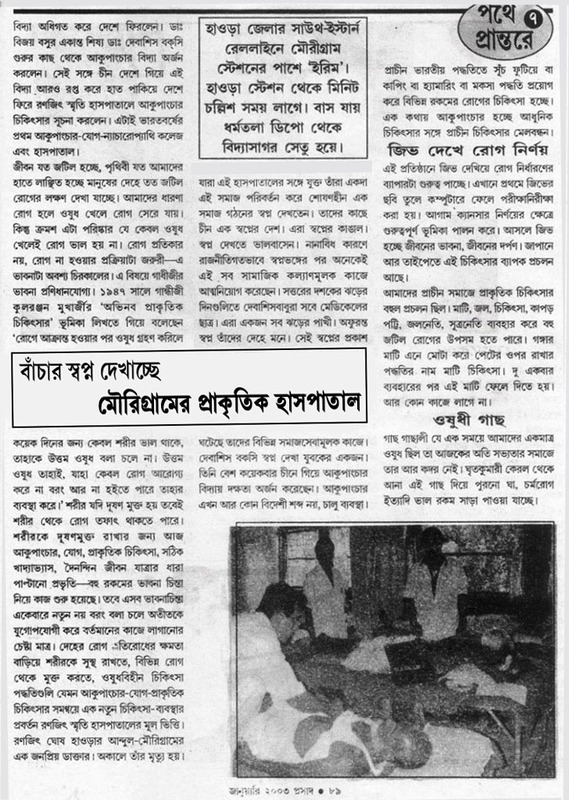 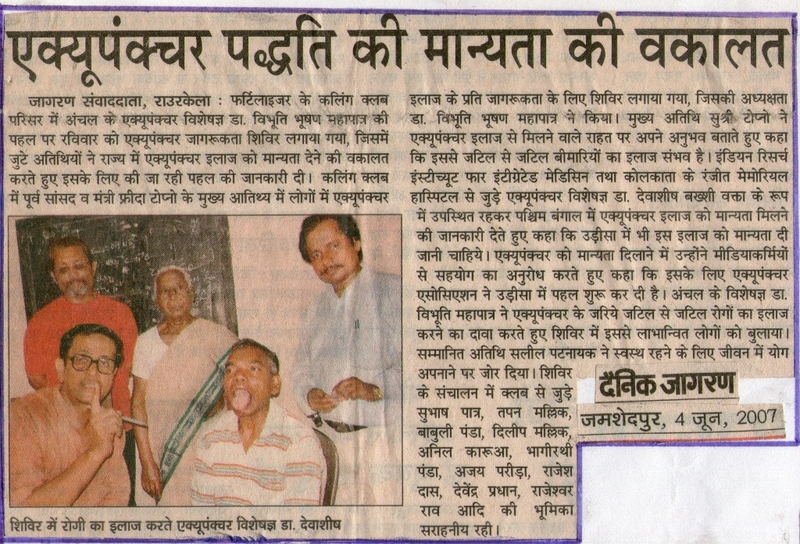 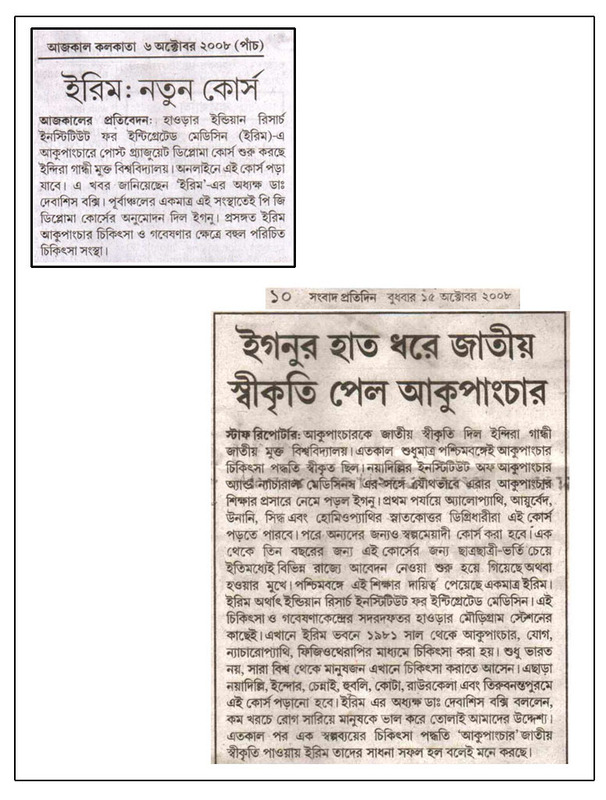 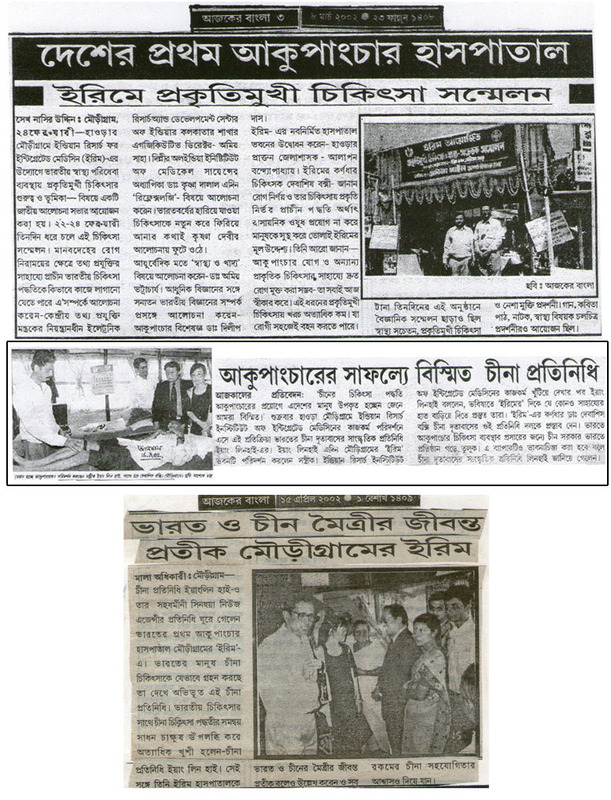 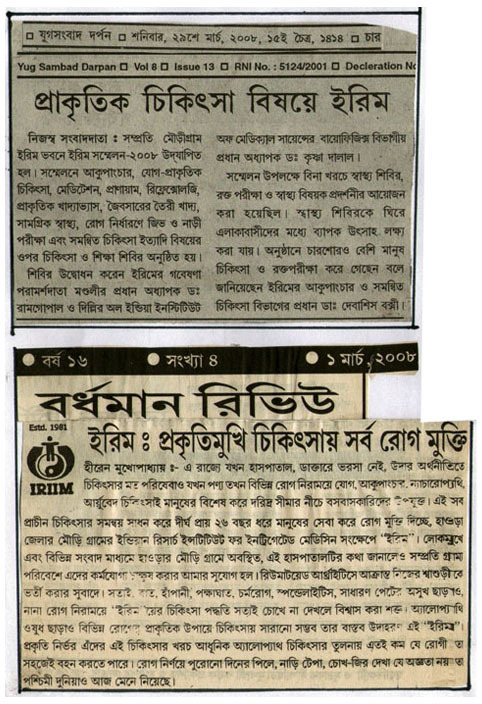 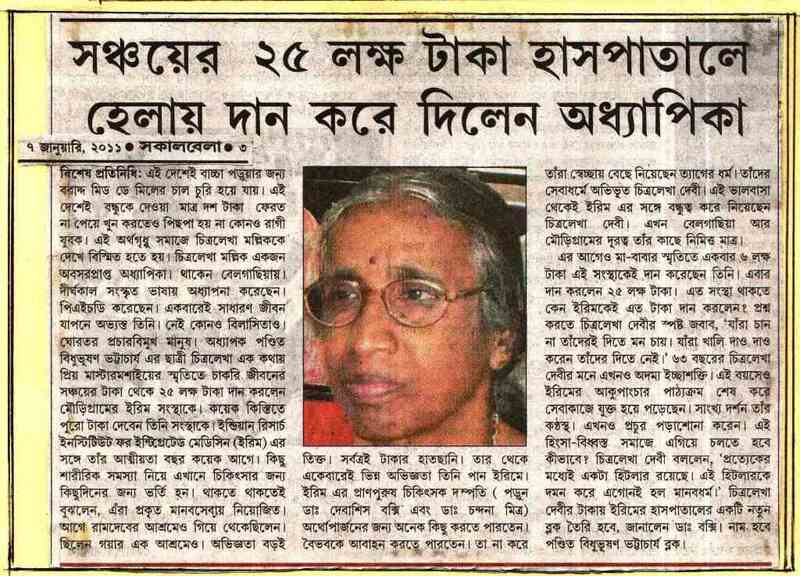 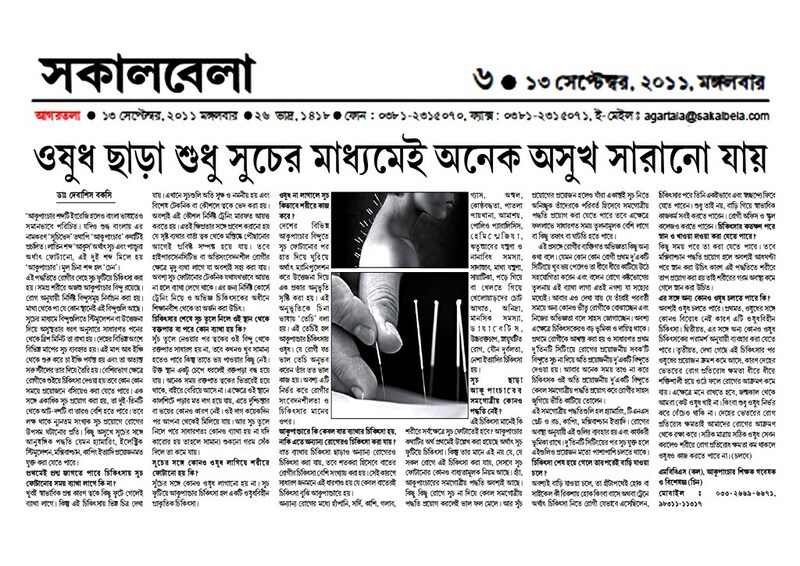 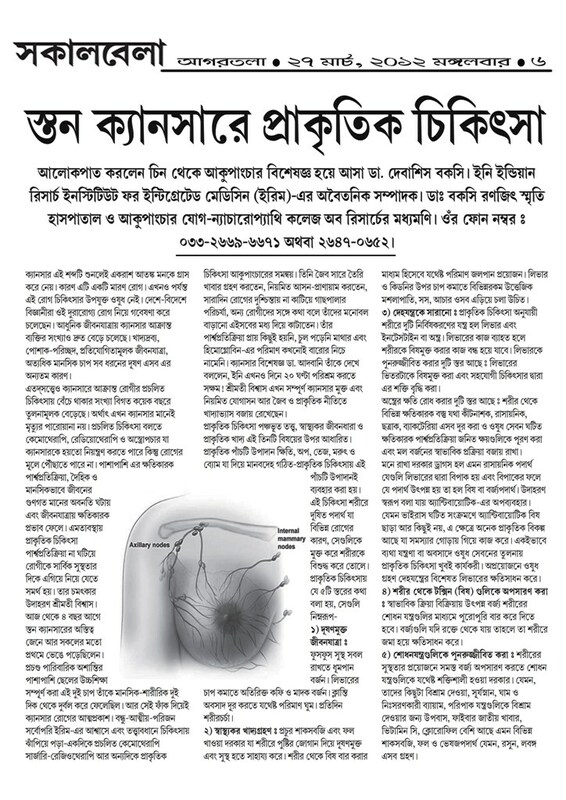 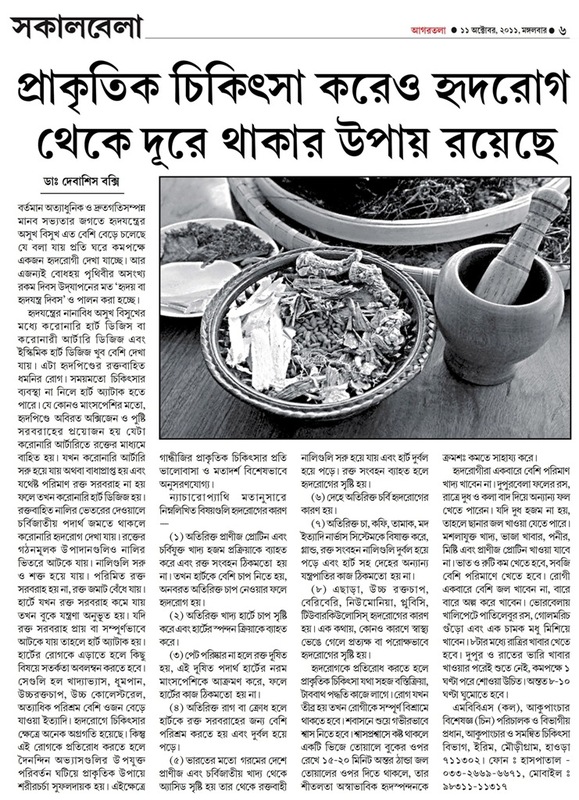 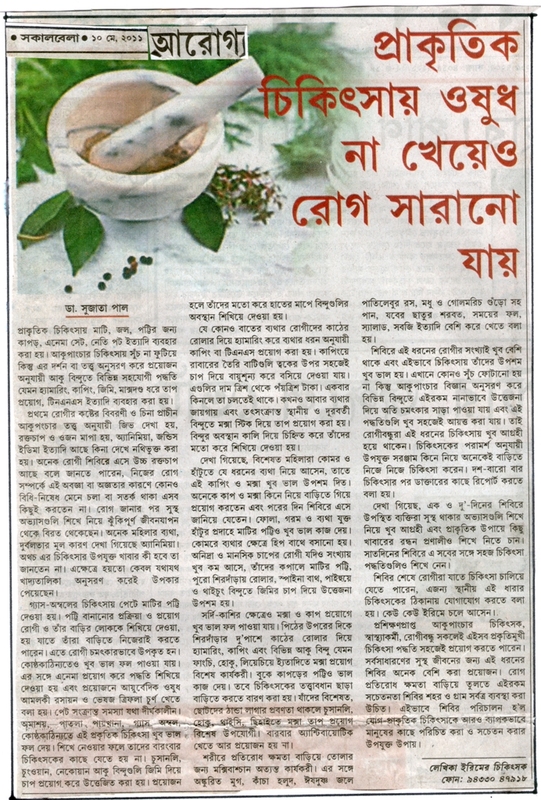 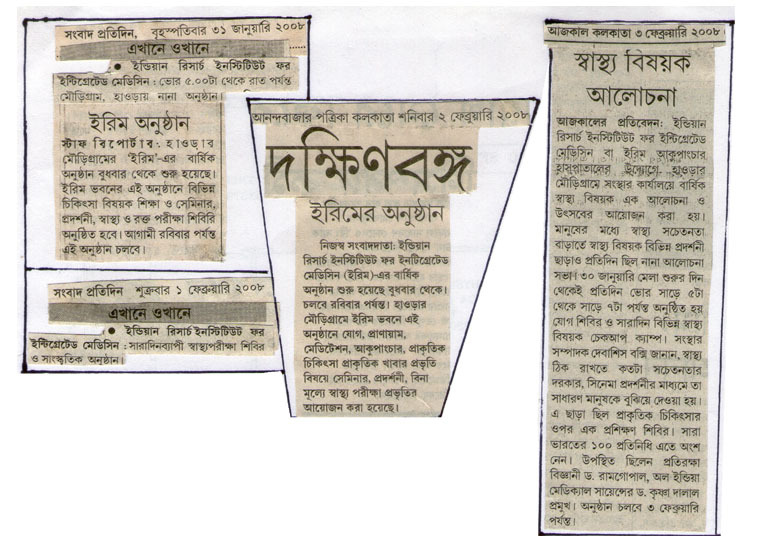 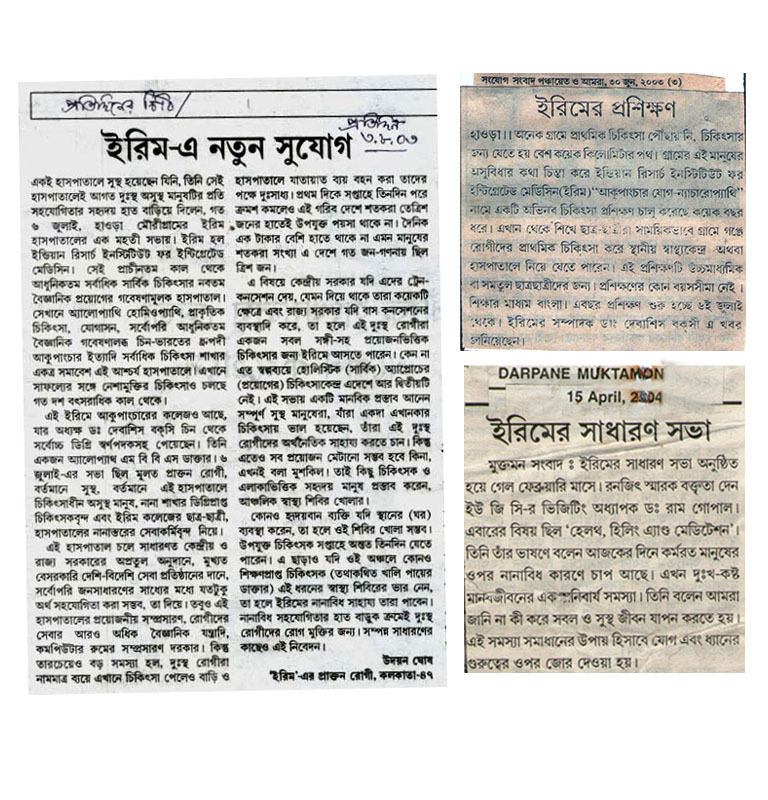 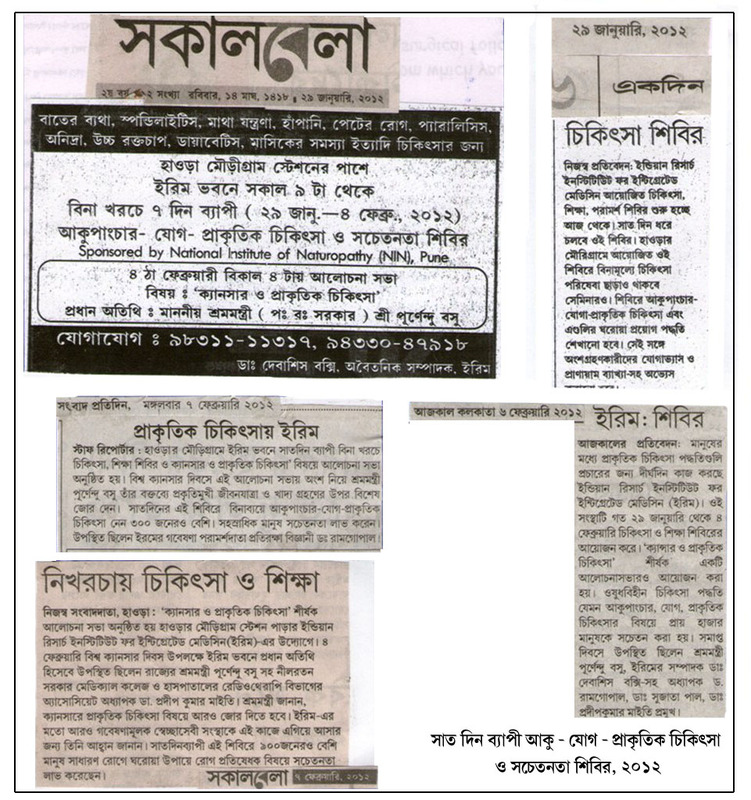 43 B Acupuncture - Yog Chikitsa Sibir 2009, IRIIM er Barsa Purti, Jiv Dekhe Rog Nirnaye .. Safalya 10, 21 & 31 Jan. 2009 & 15 Feb. 2009 Uttarbanga Sangbad , Bartaman , Sangbad Pratidin, E Samay & Susastha. 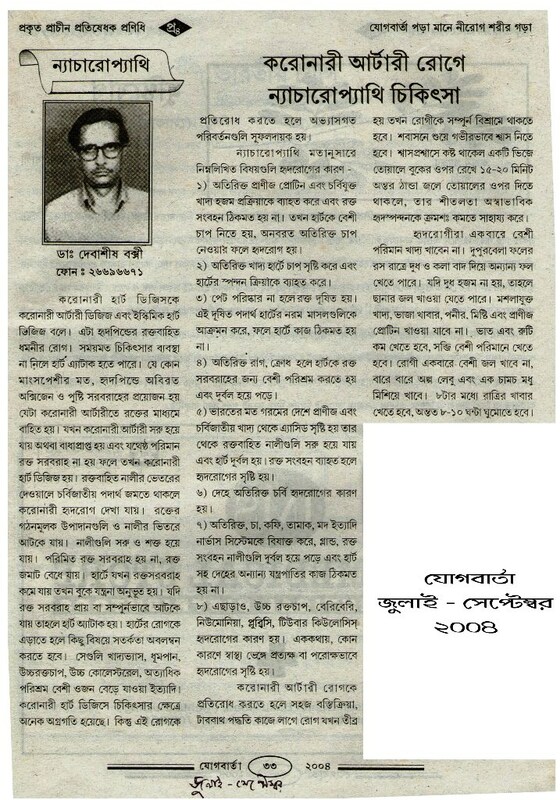 23 B IRIIM er Prashikhan, IRIIM e Natun Sujog & IRIIM er Sadharan Sabha 30 Jun, 3 Aug. 2003 & 15 Apr. 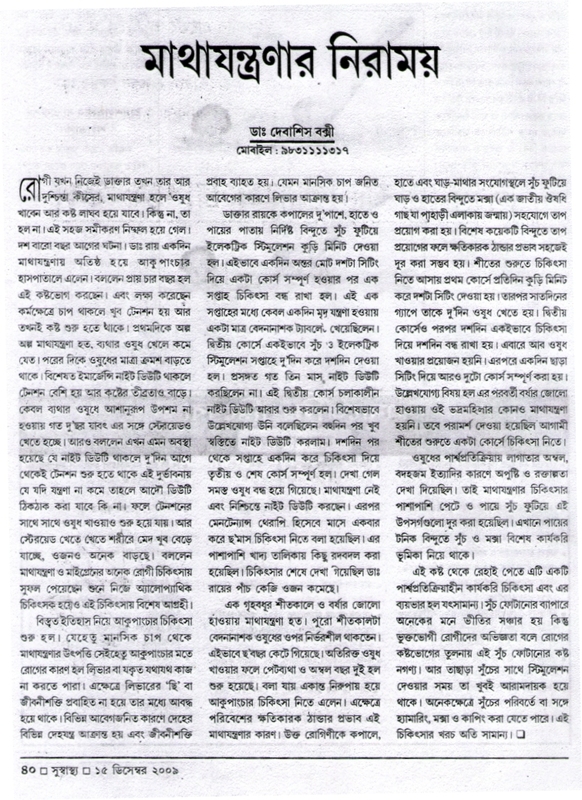 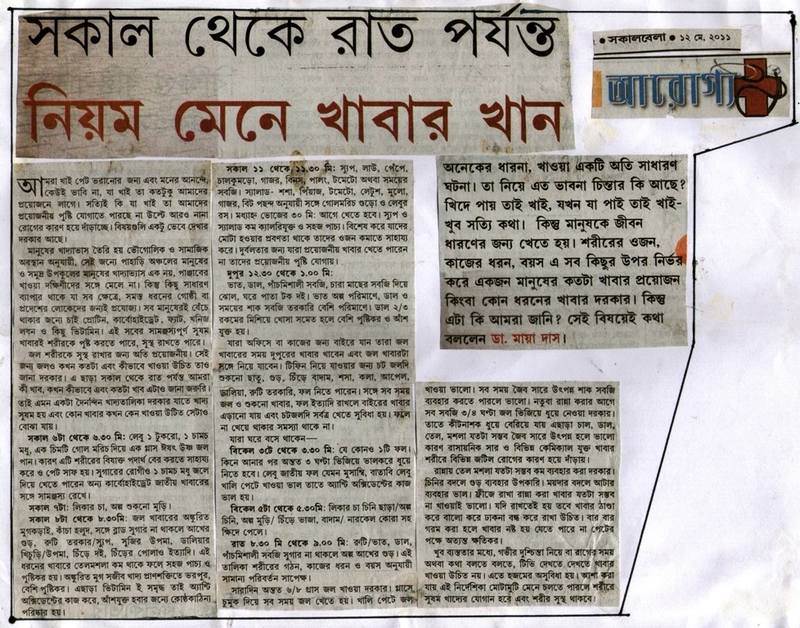 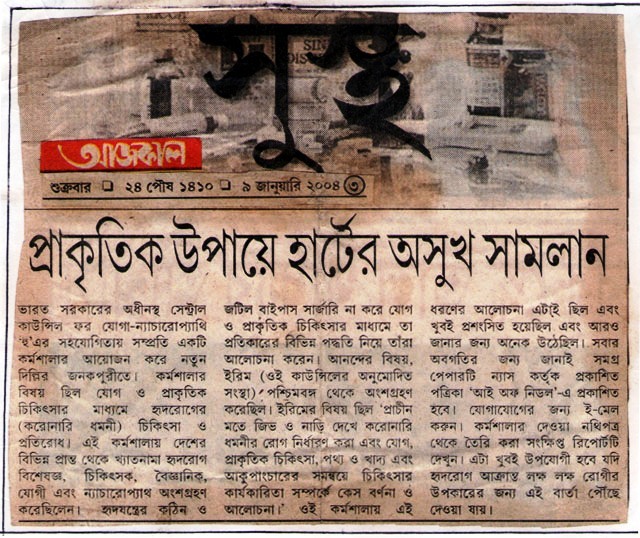 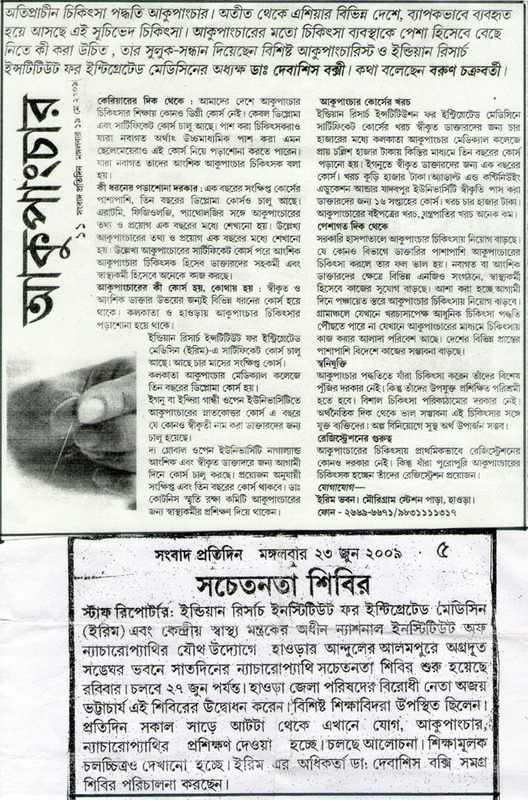 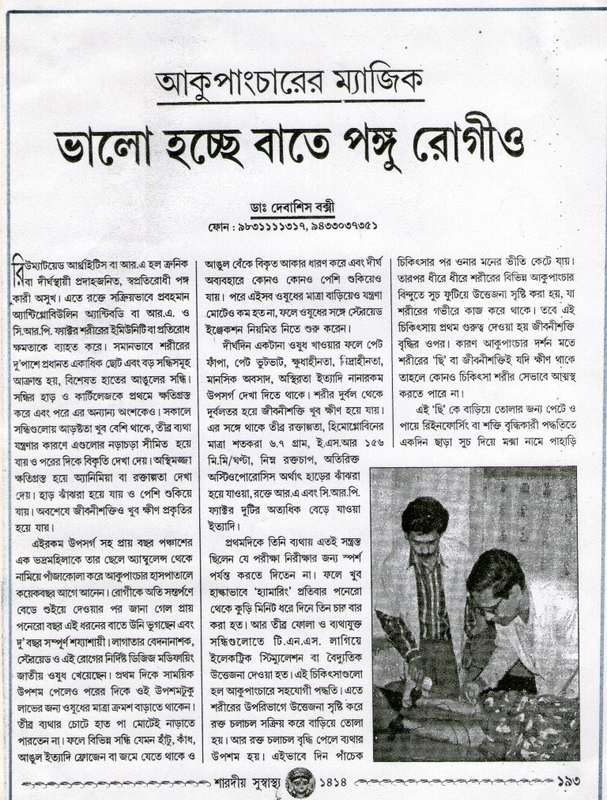 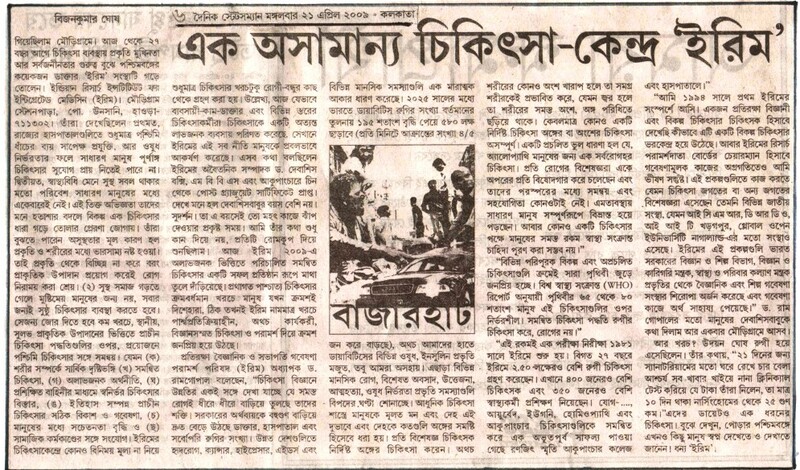 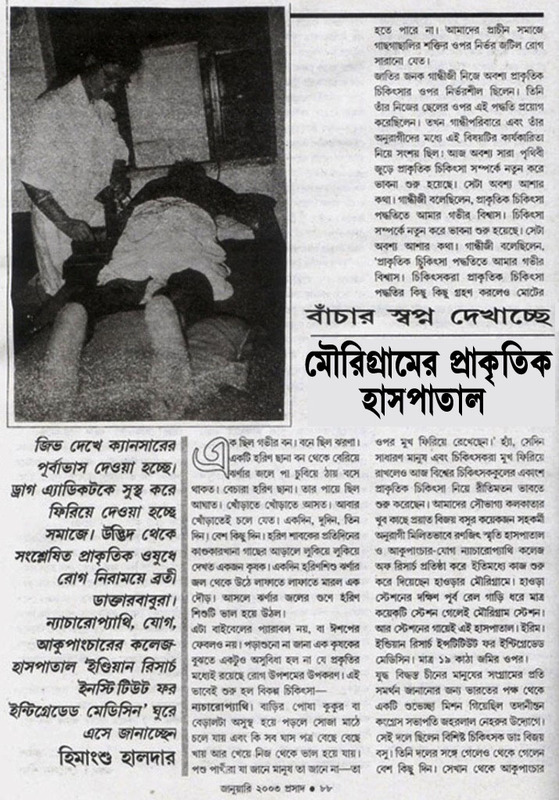 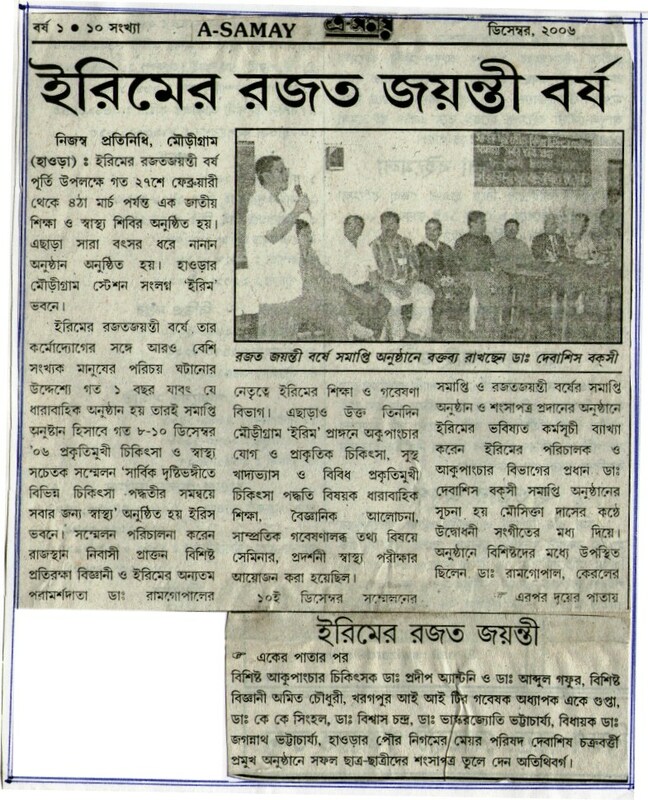 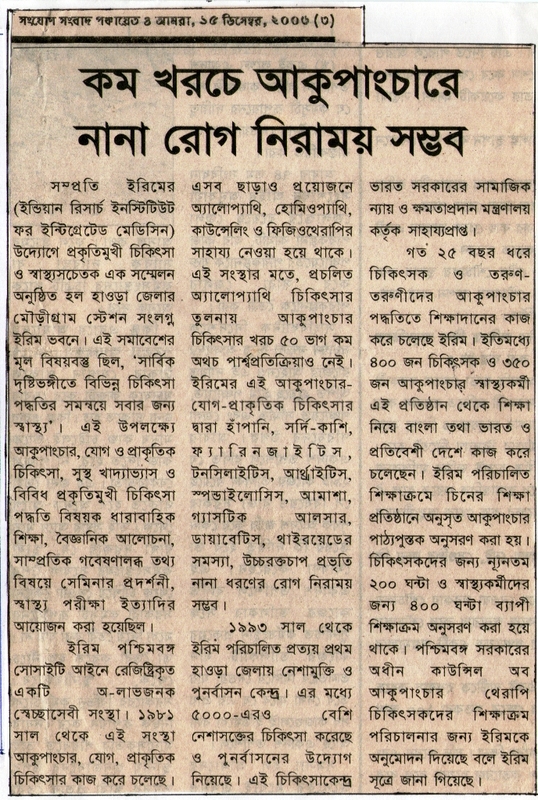 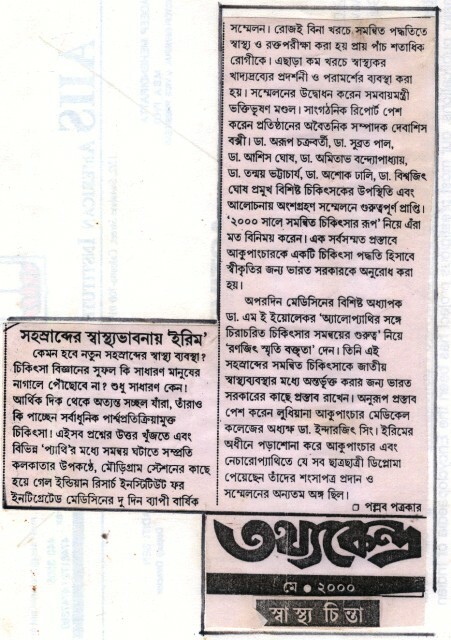 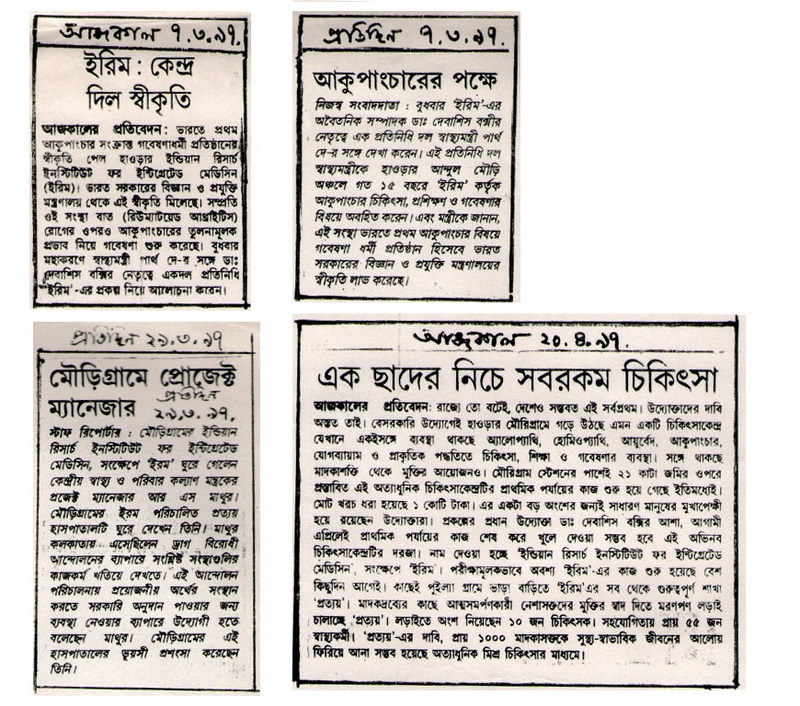 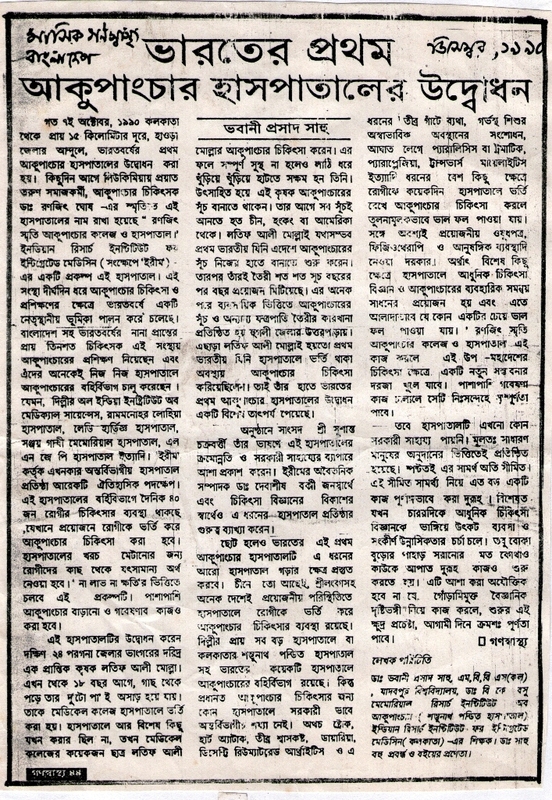 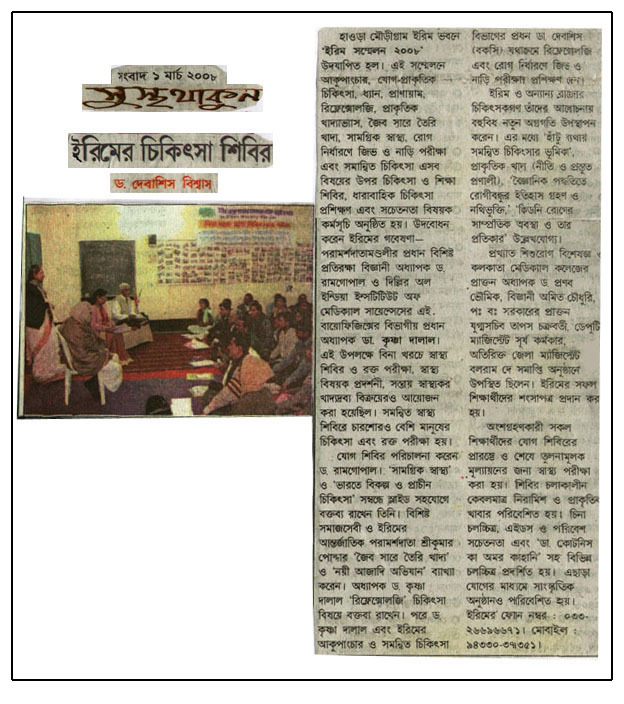 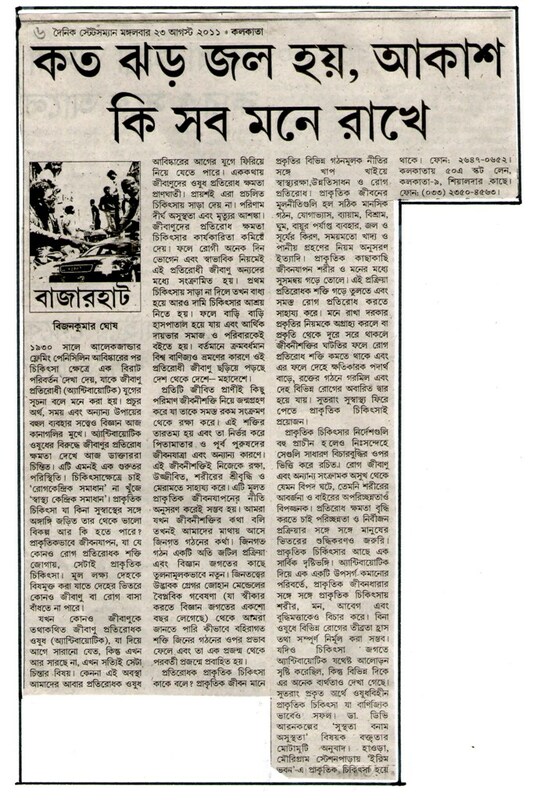 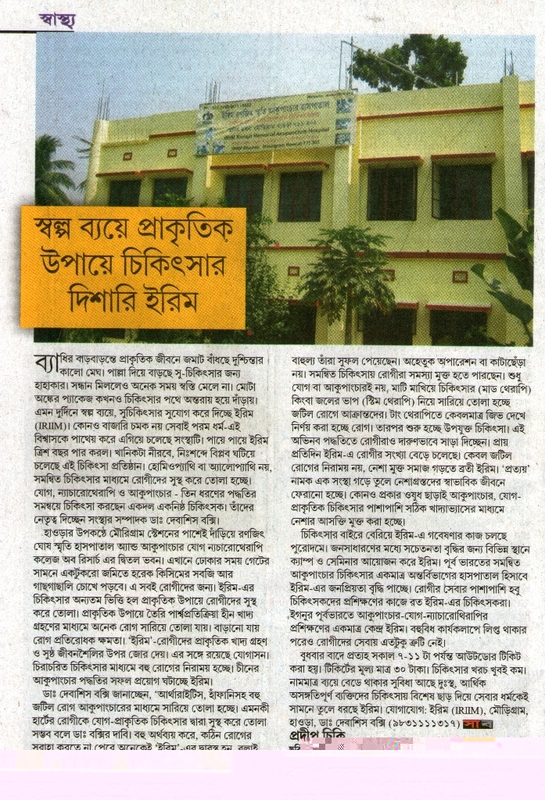 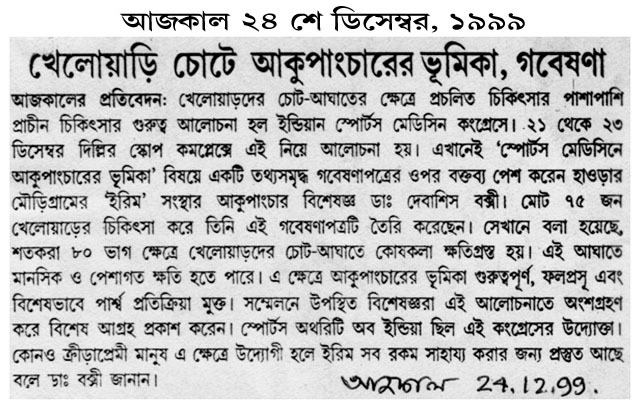 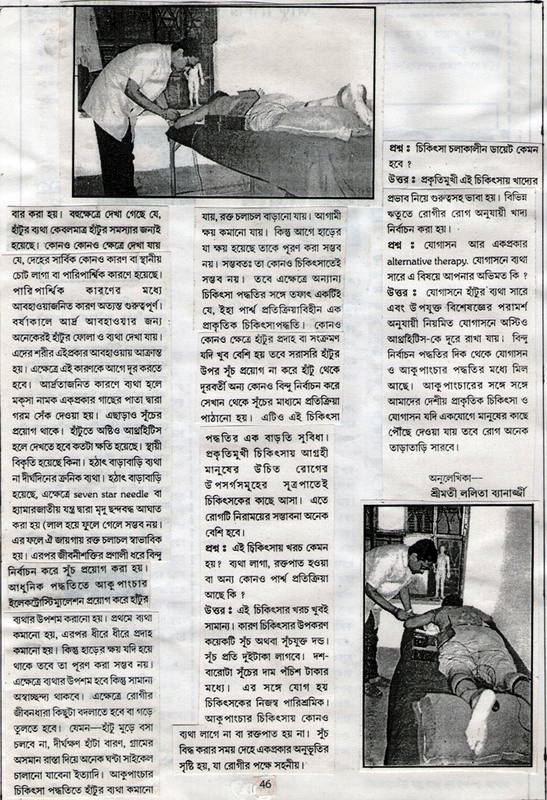 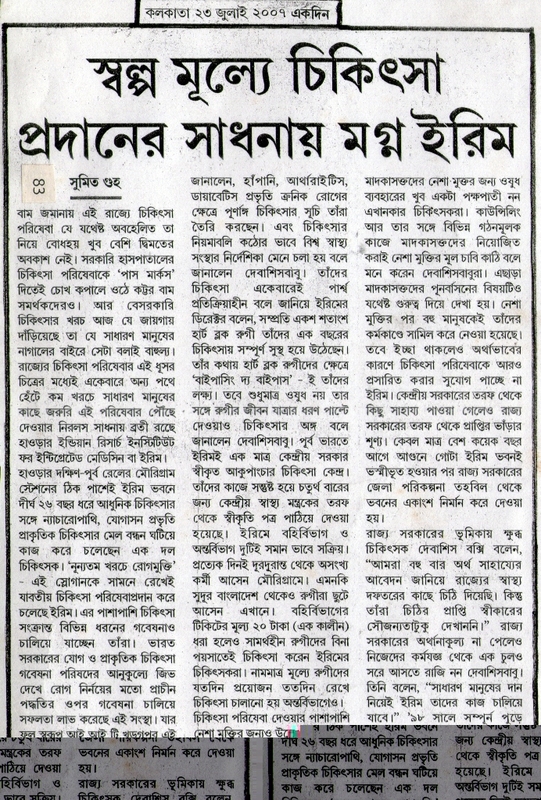 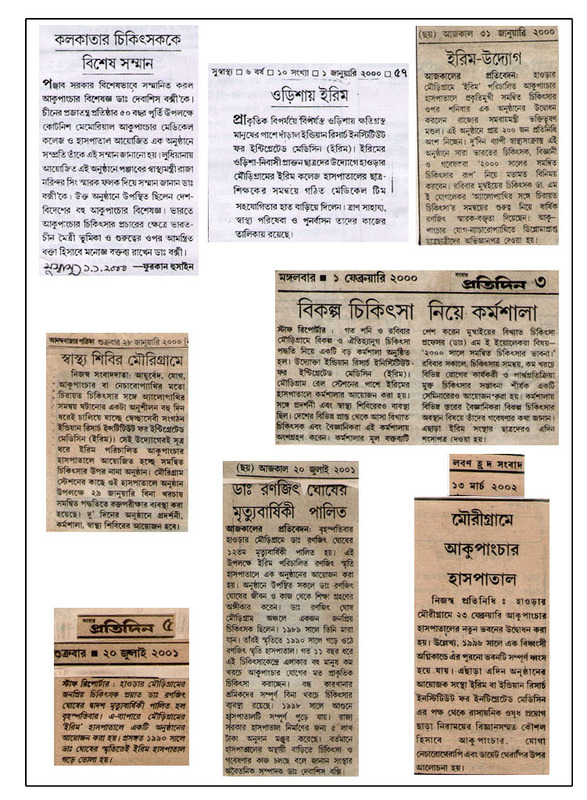 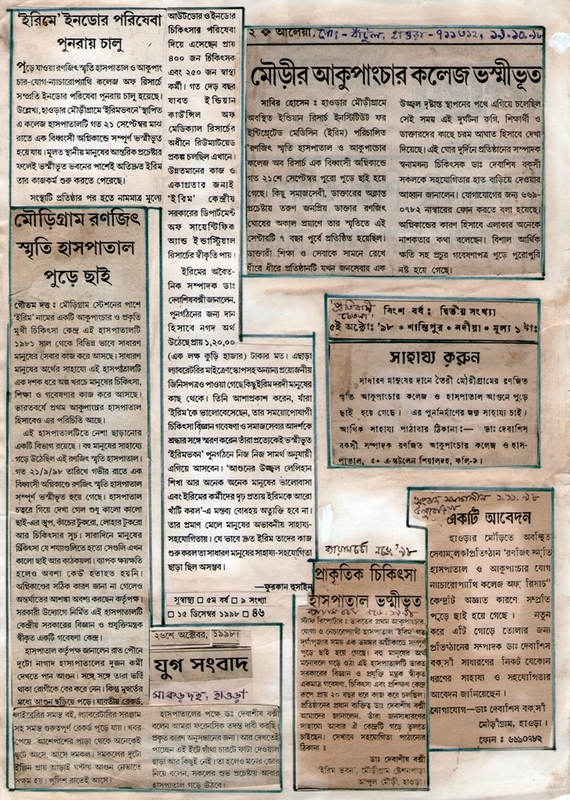 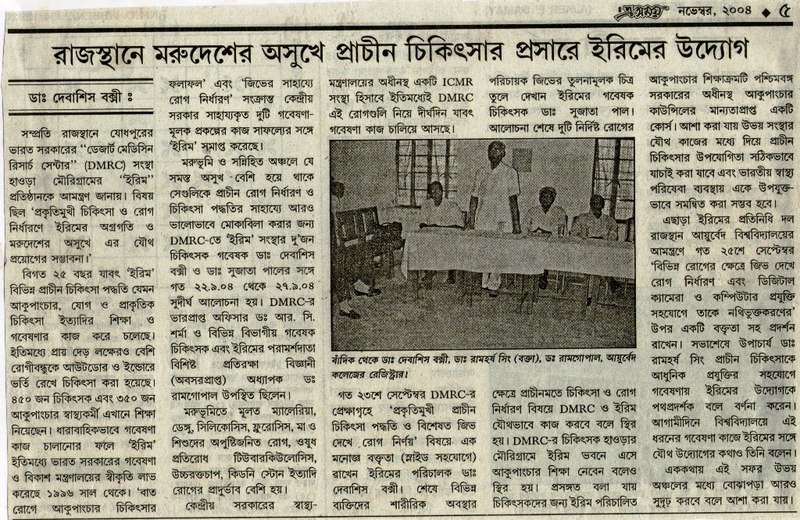 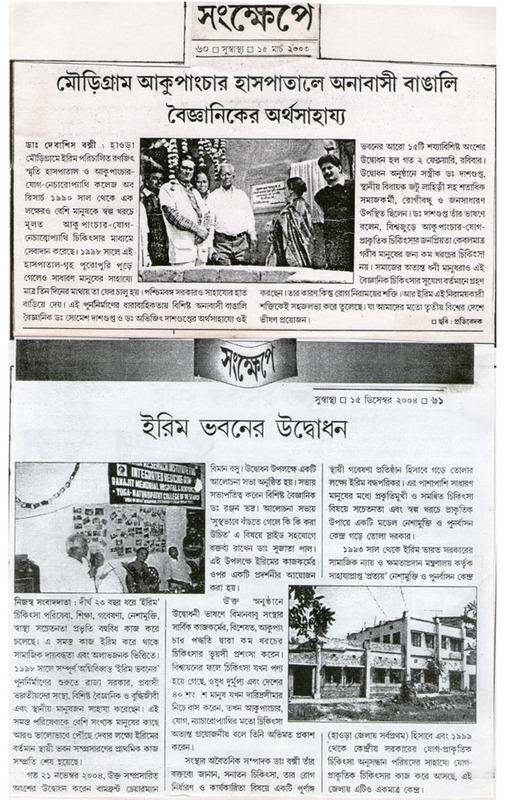 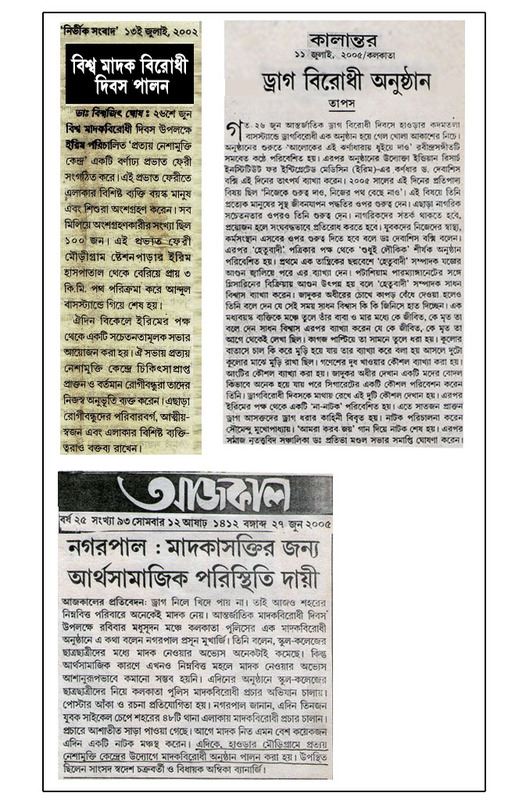 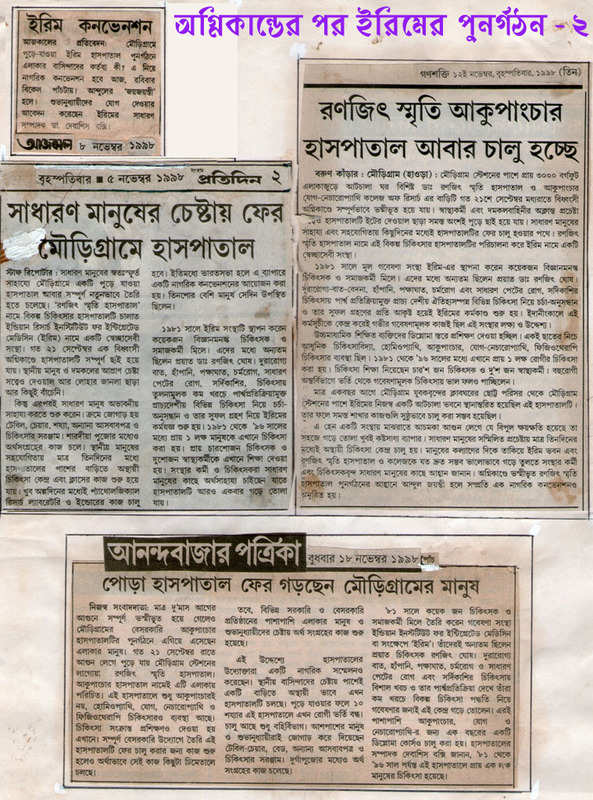 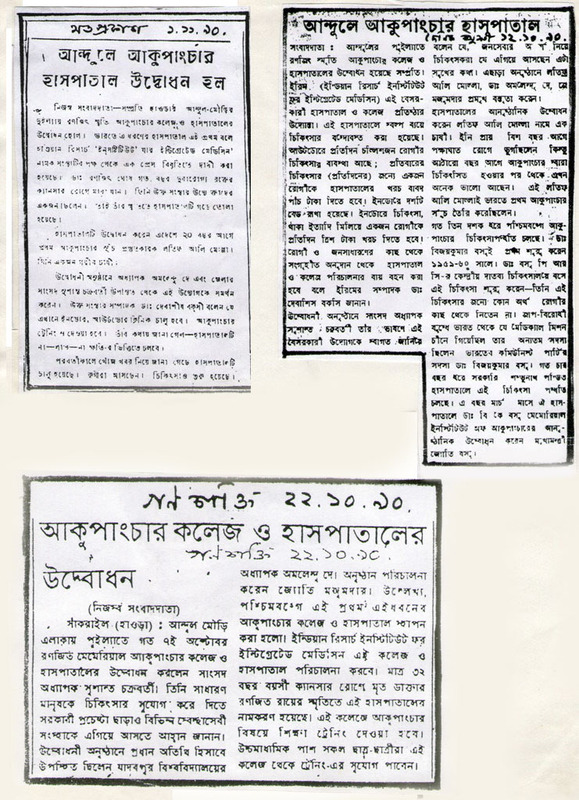 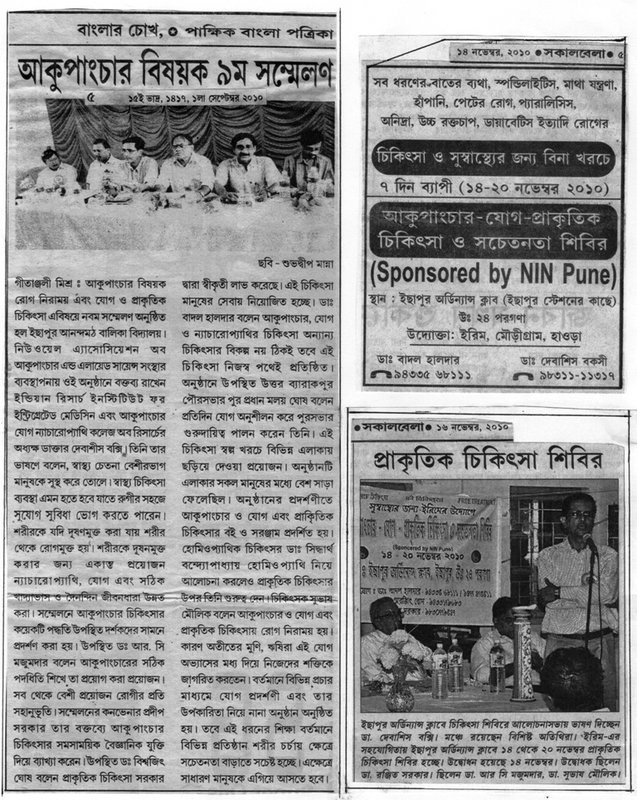 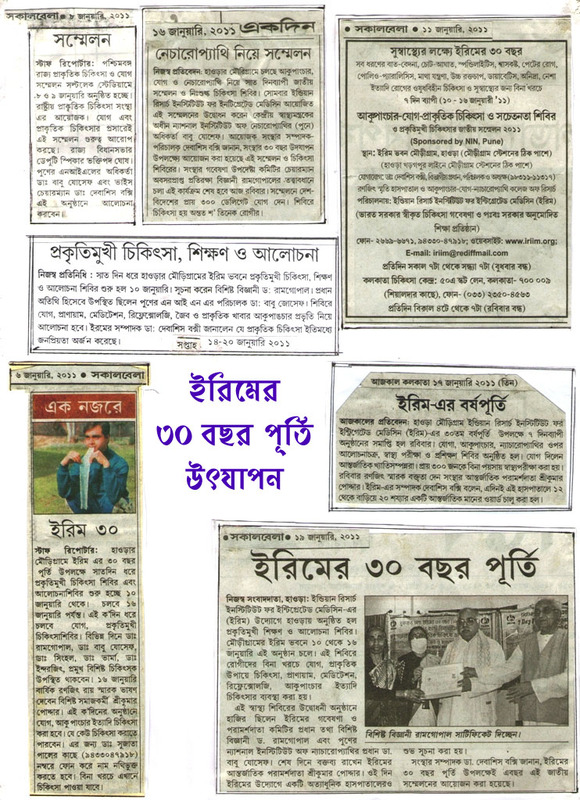 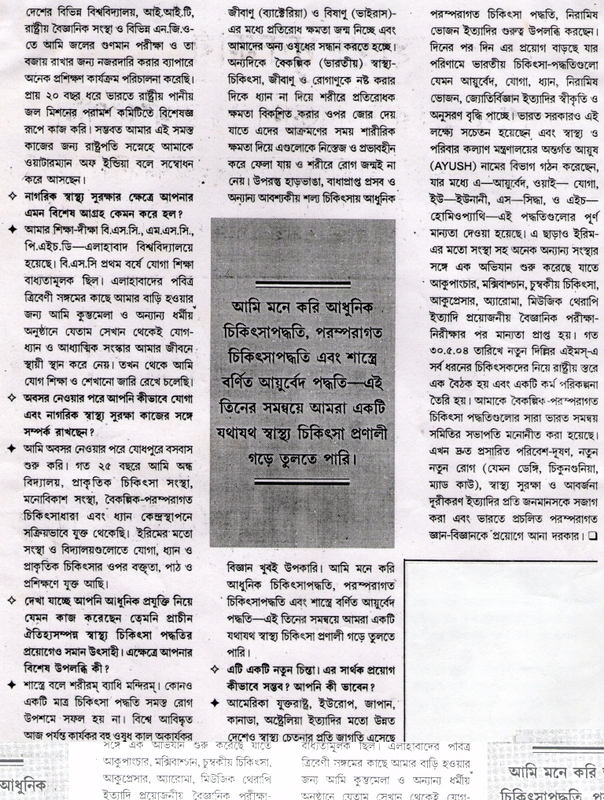 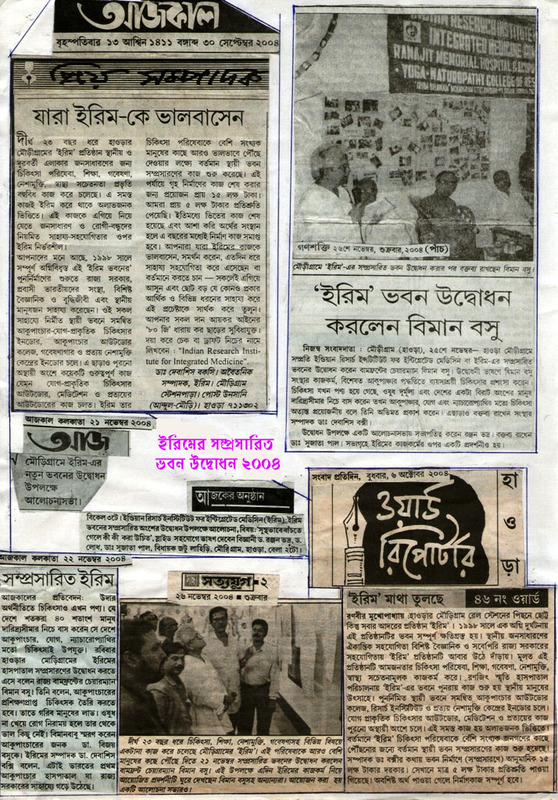 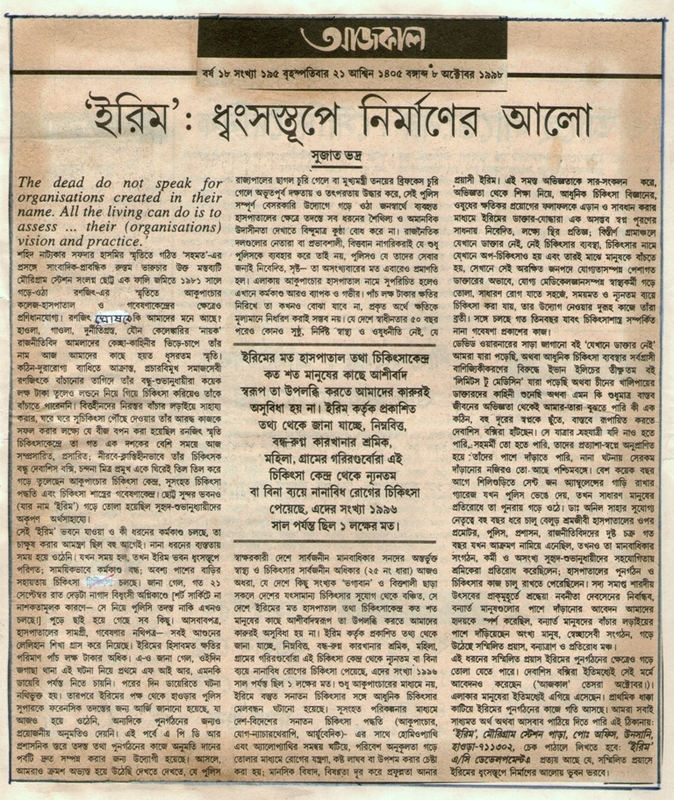 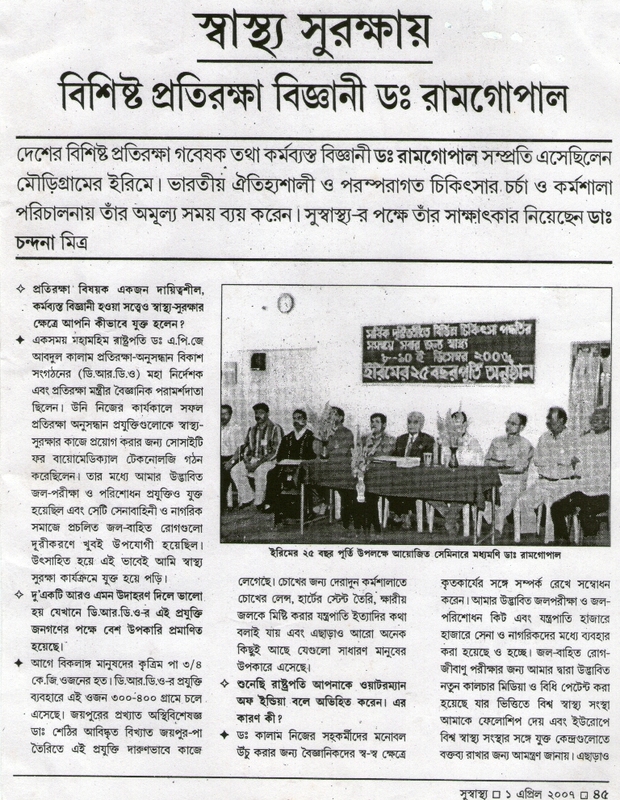 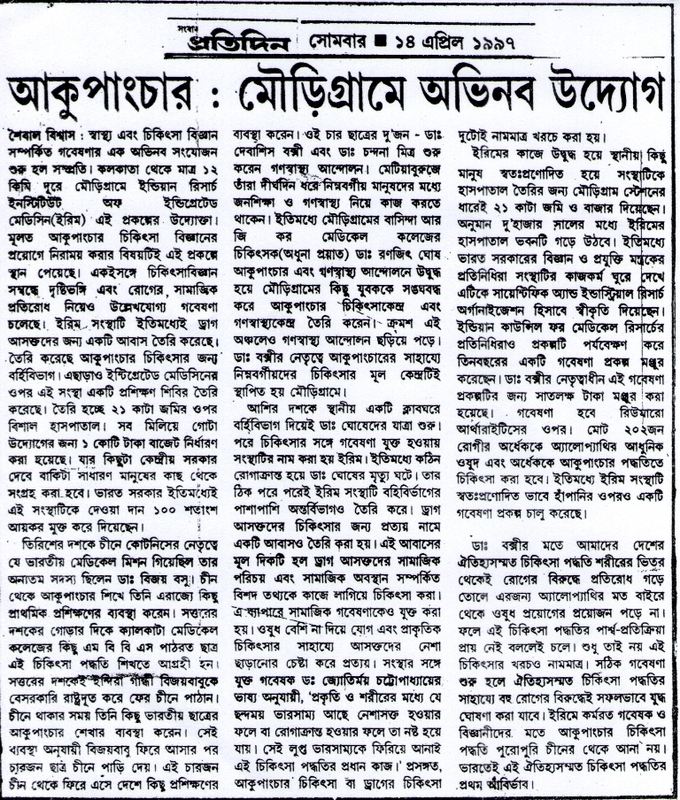 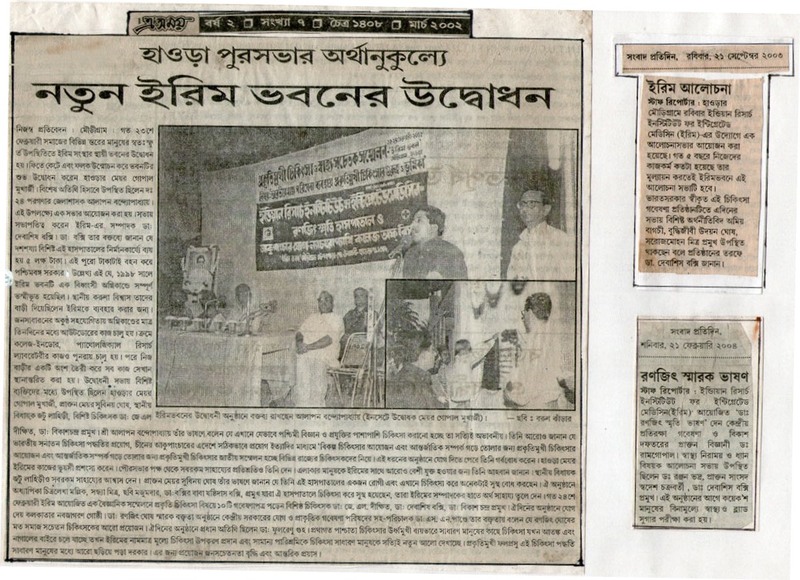 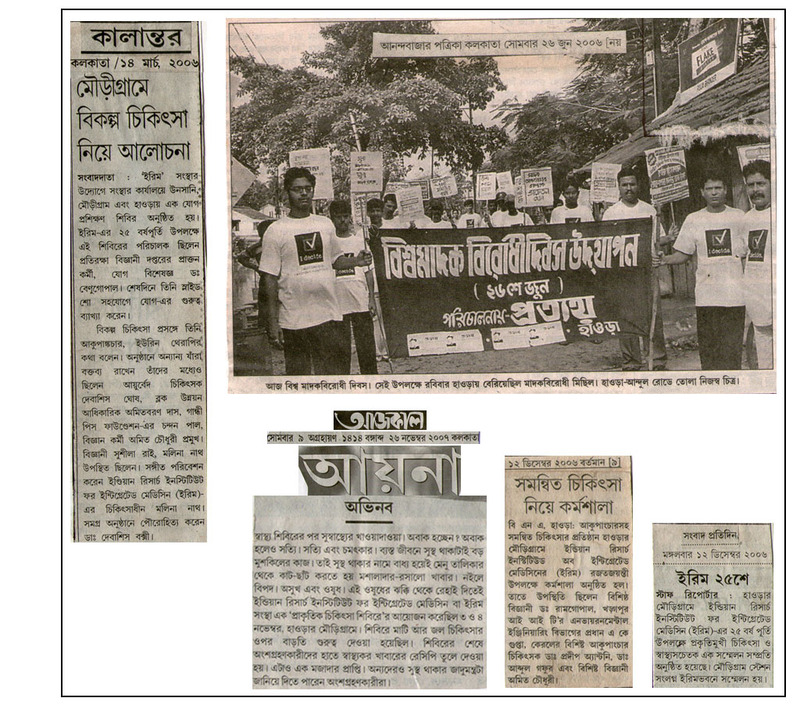 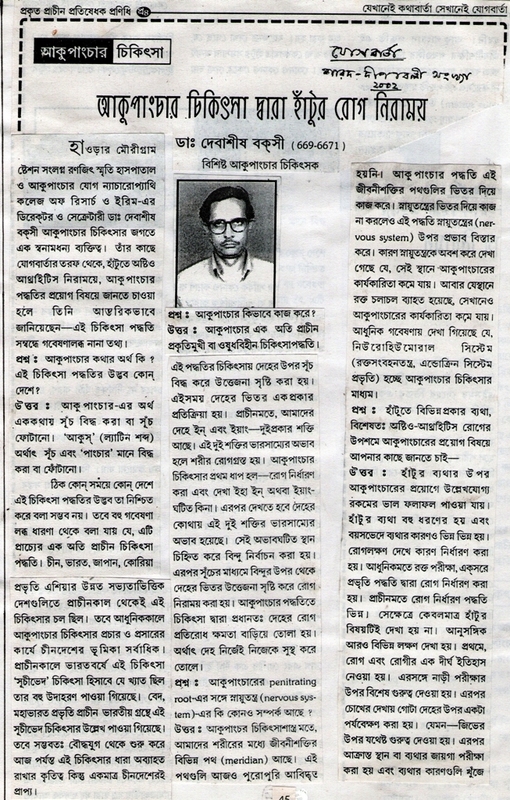 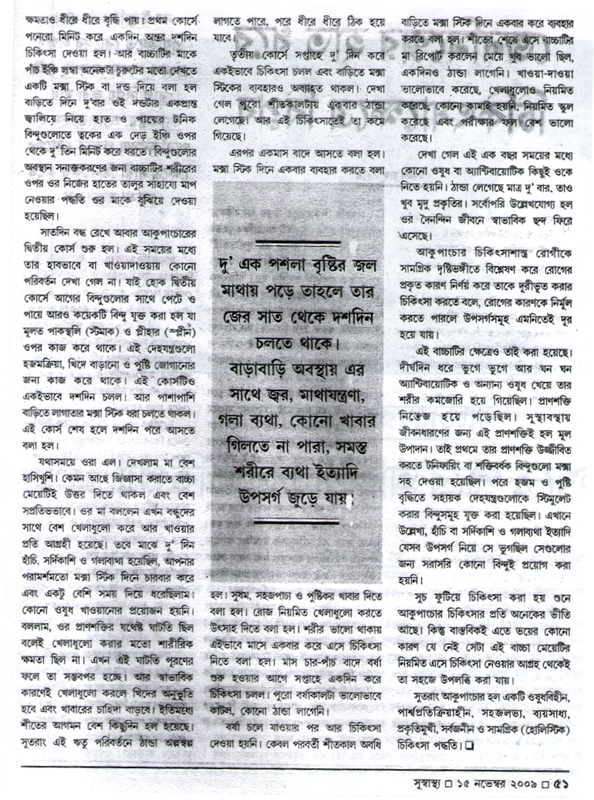 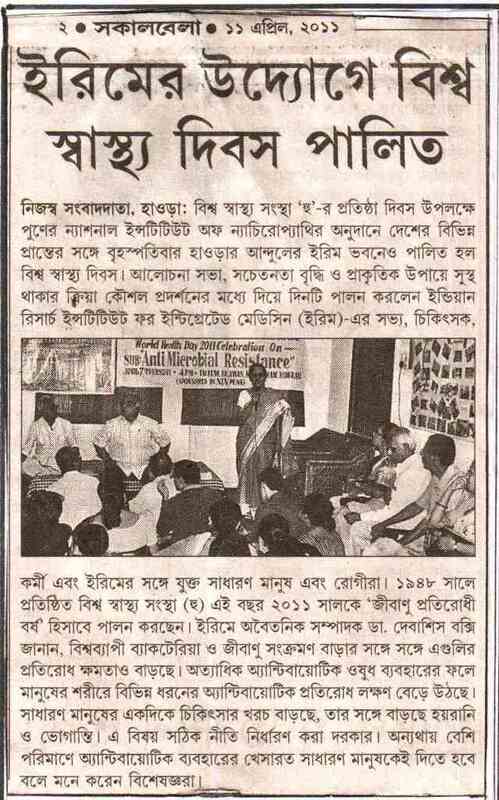 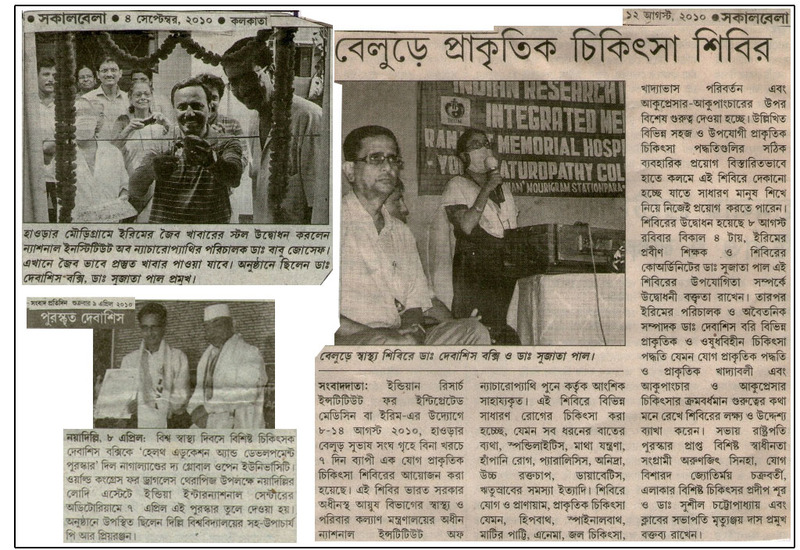 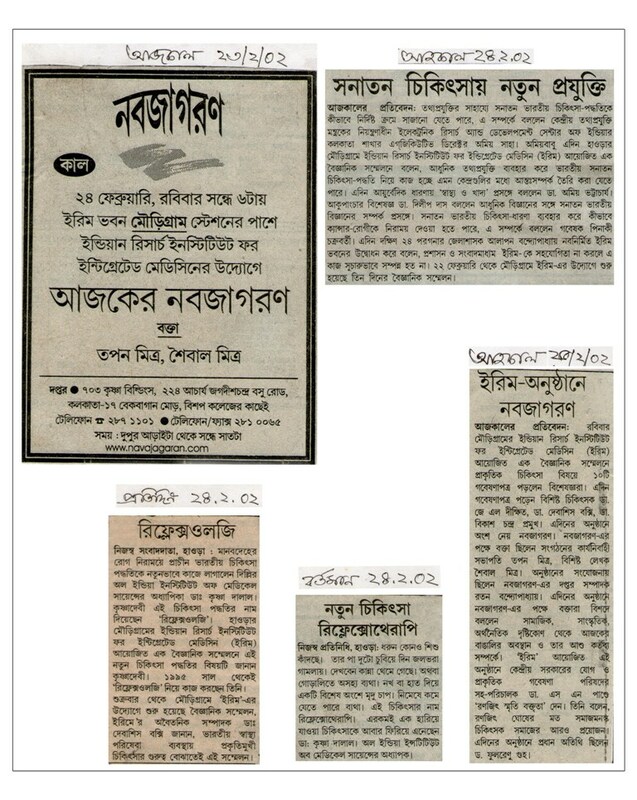 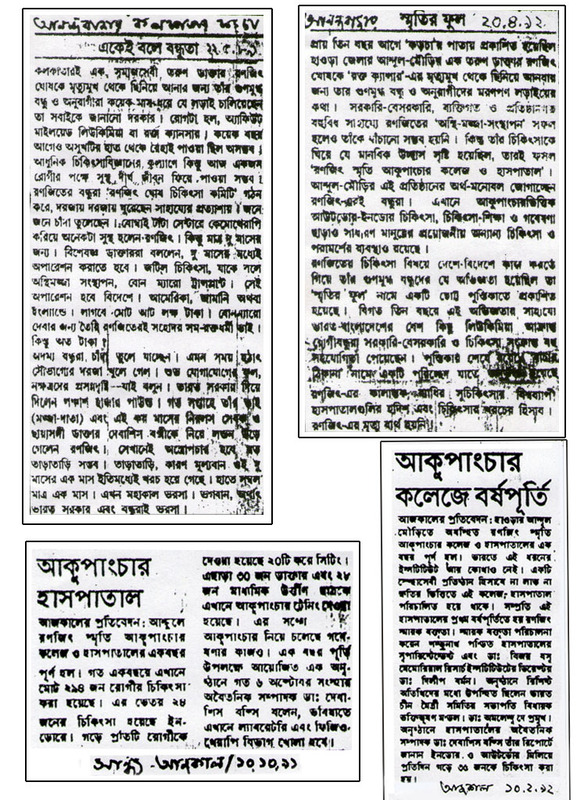 2004 Sanjog Sangbad Panchayet O Amra, Sangbad Pratidin & Darpane Mukta Mon. 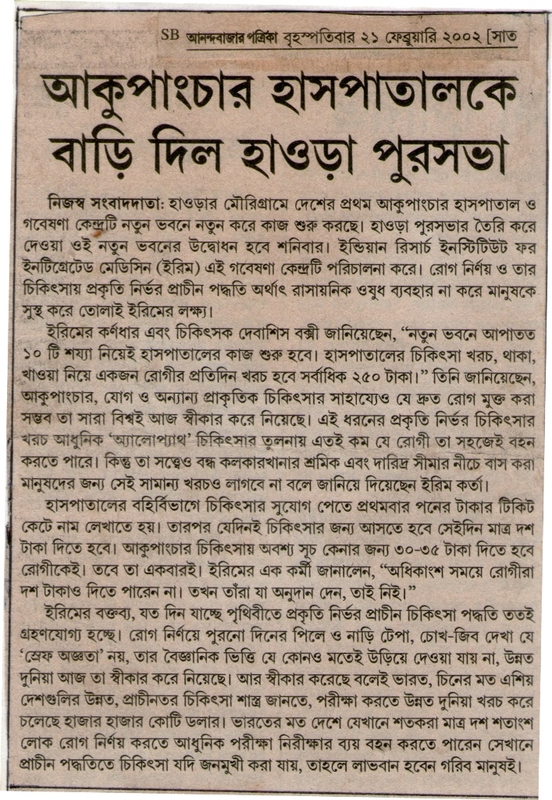 13 E Needling Them out of Addiction 16 Jul. 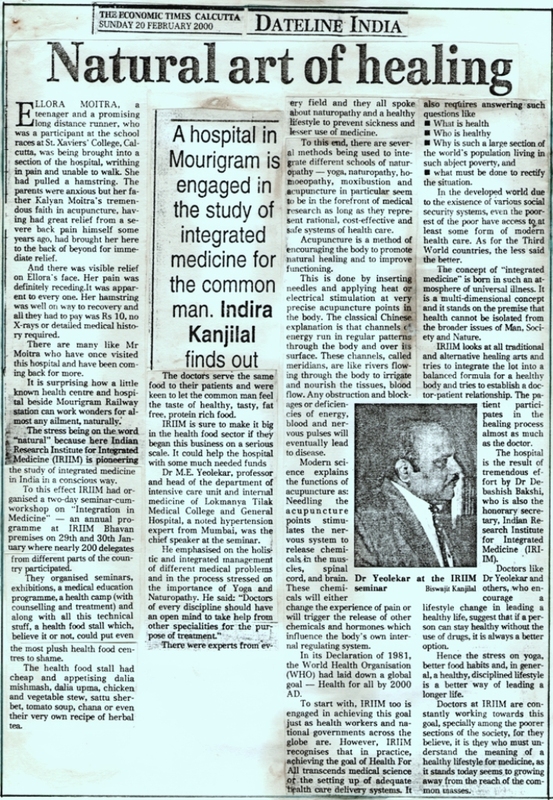 2001 The Times Of India, Kol. 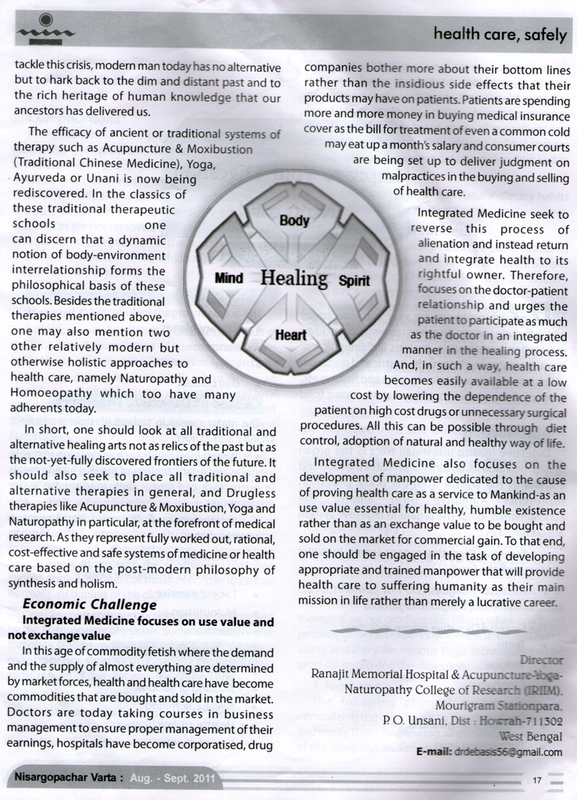 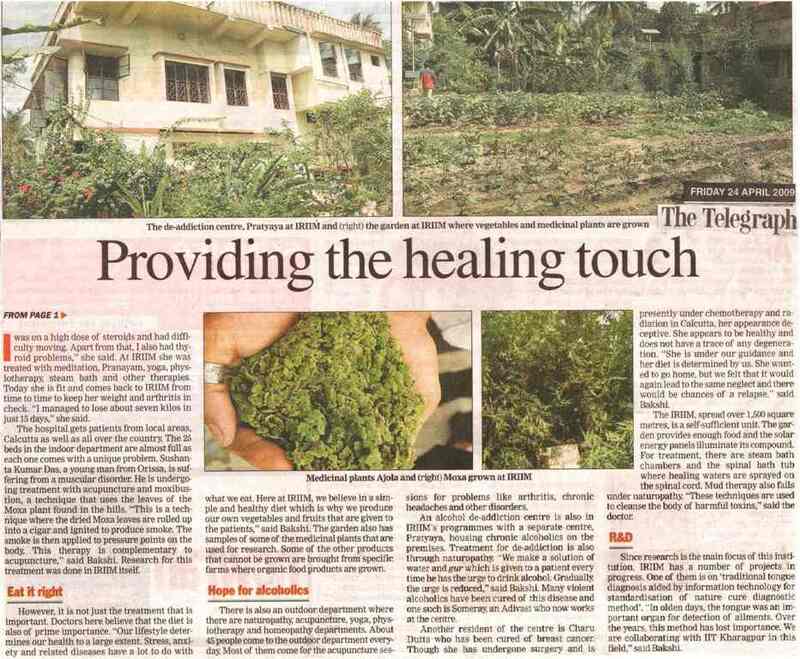 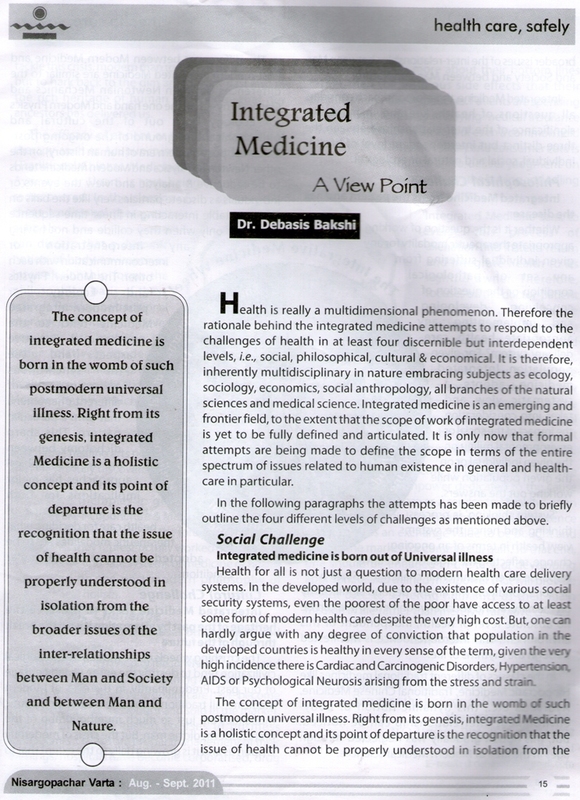 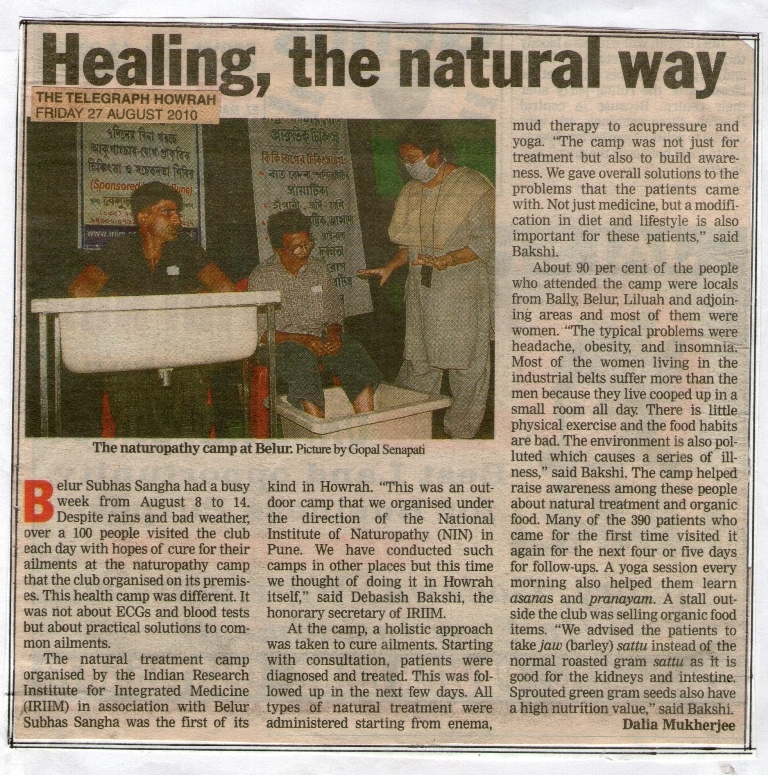 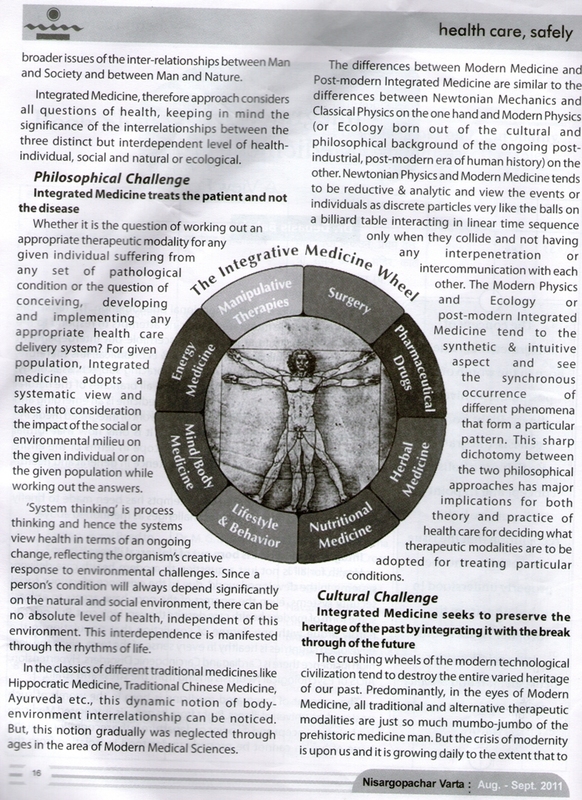 10 E Natural art of healing 20 Feb. 2000 The Economic Times, Kol. 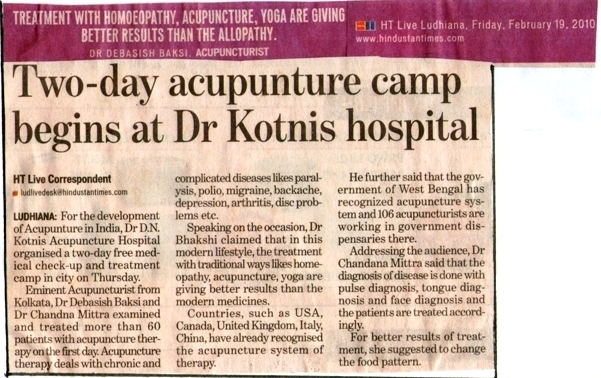 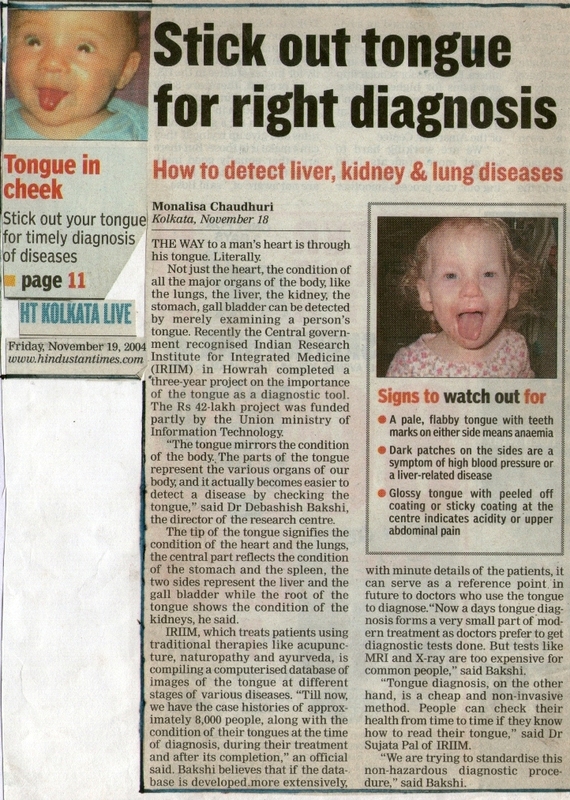 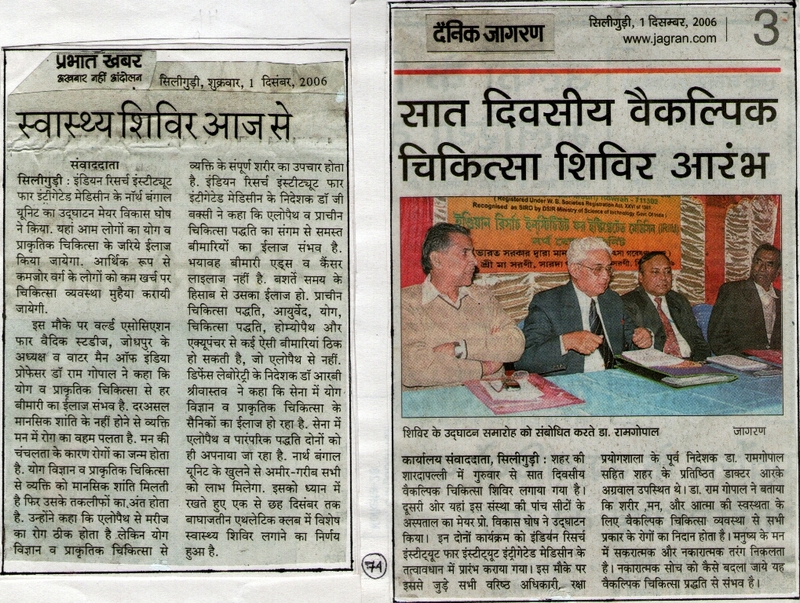 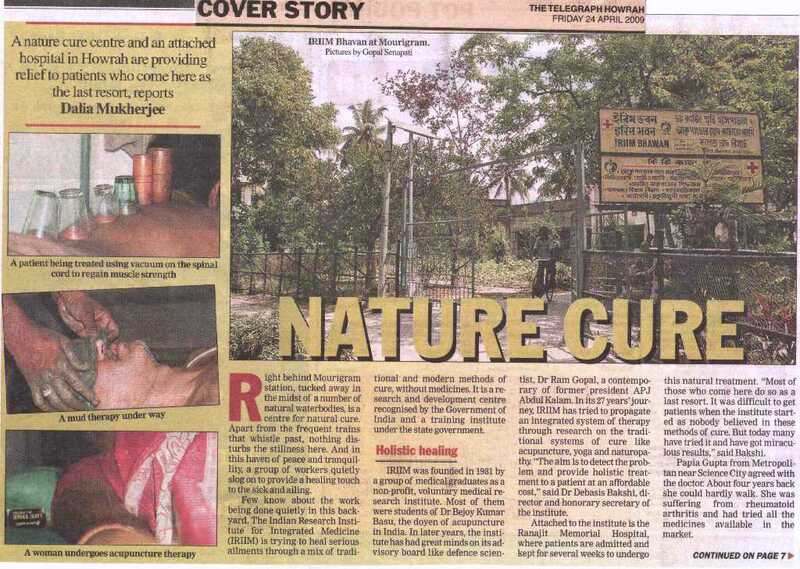 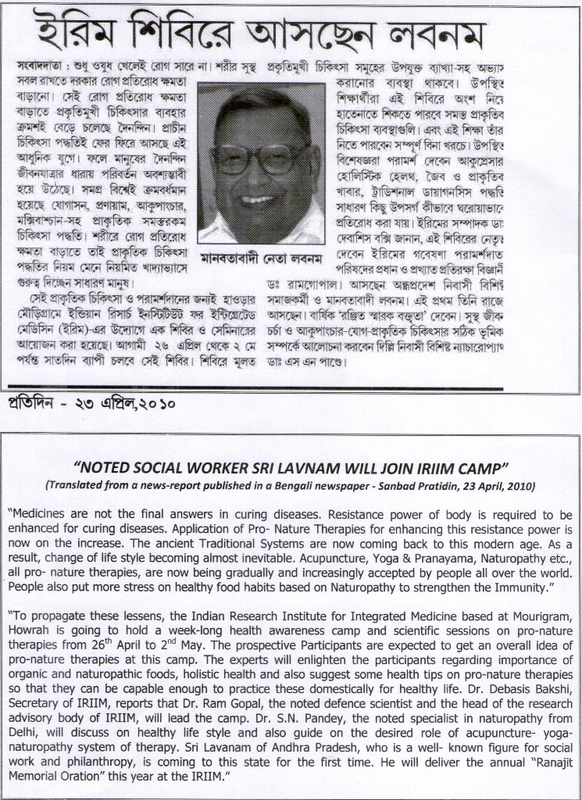 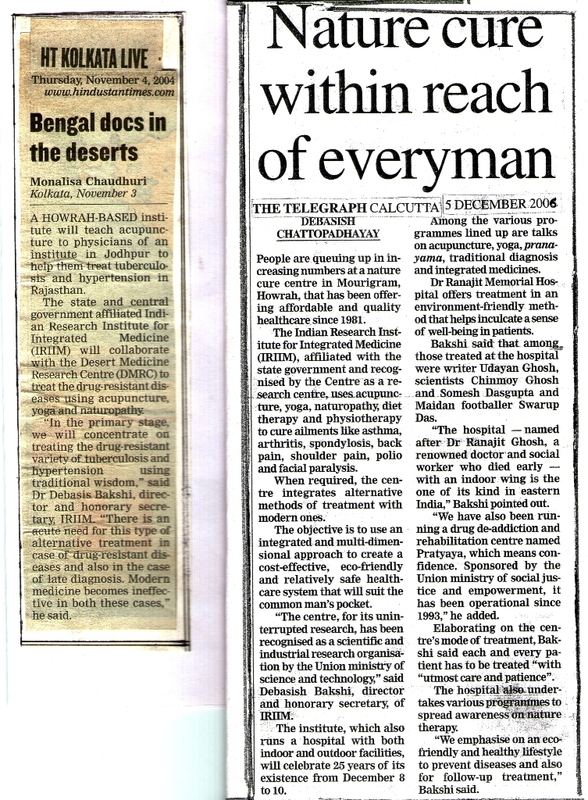 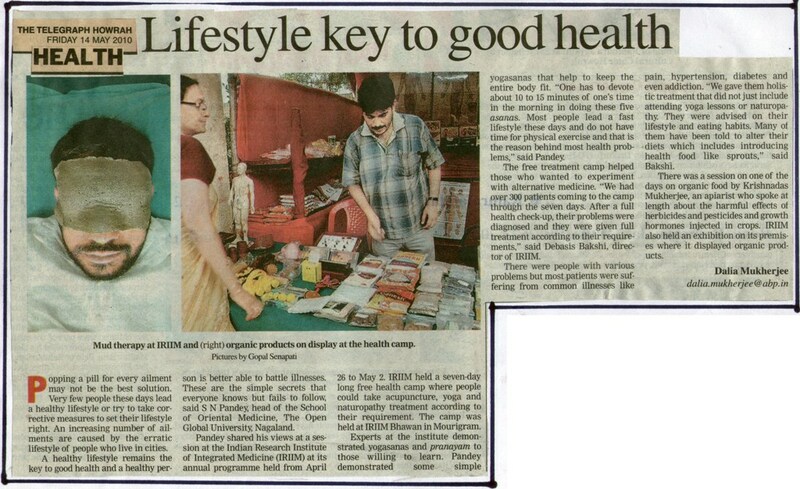 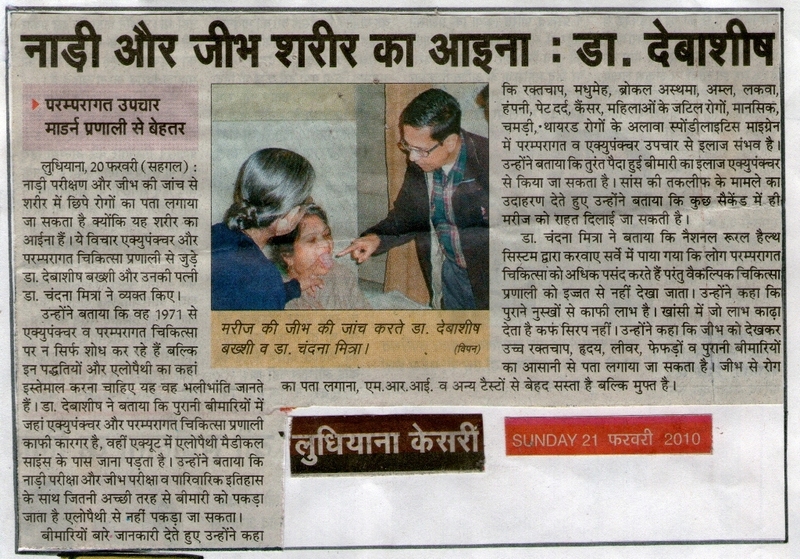 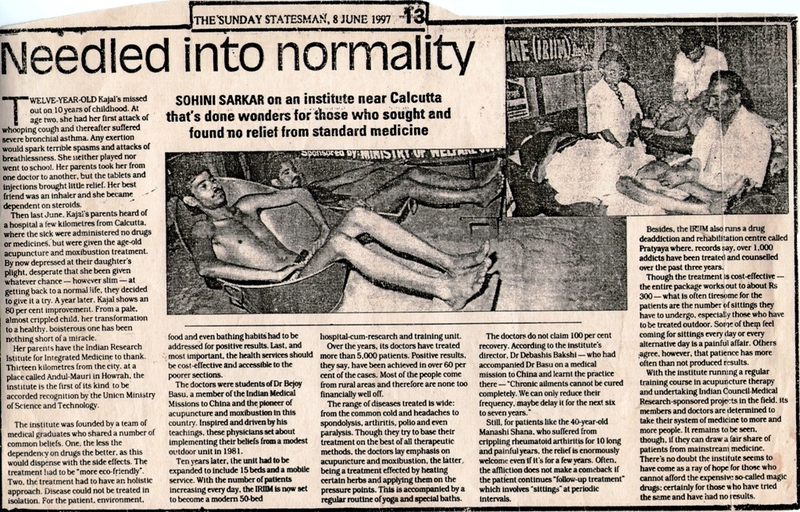 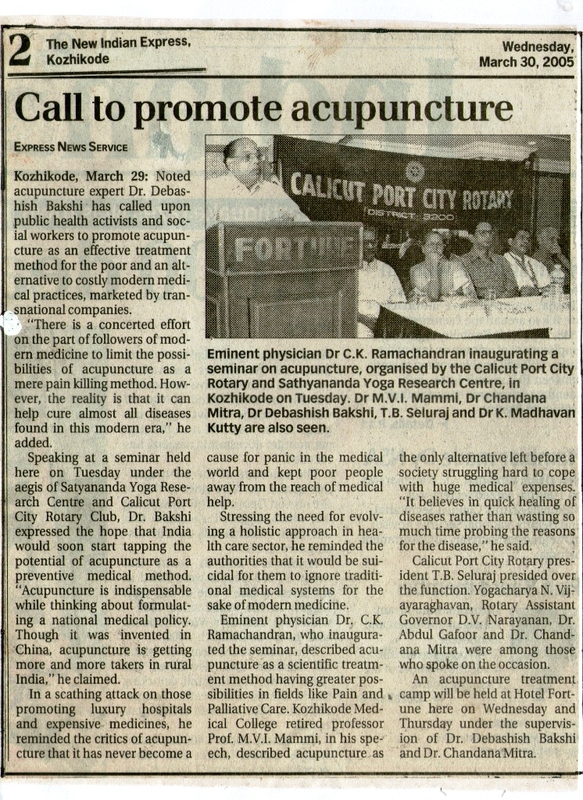 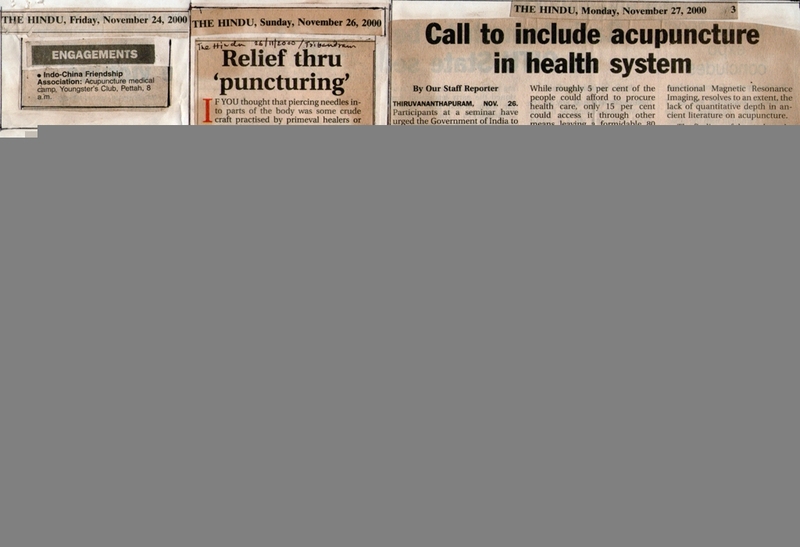 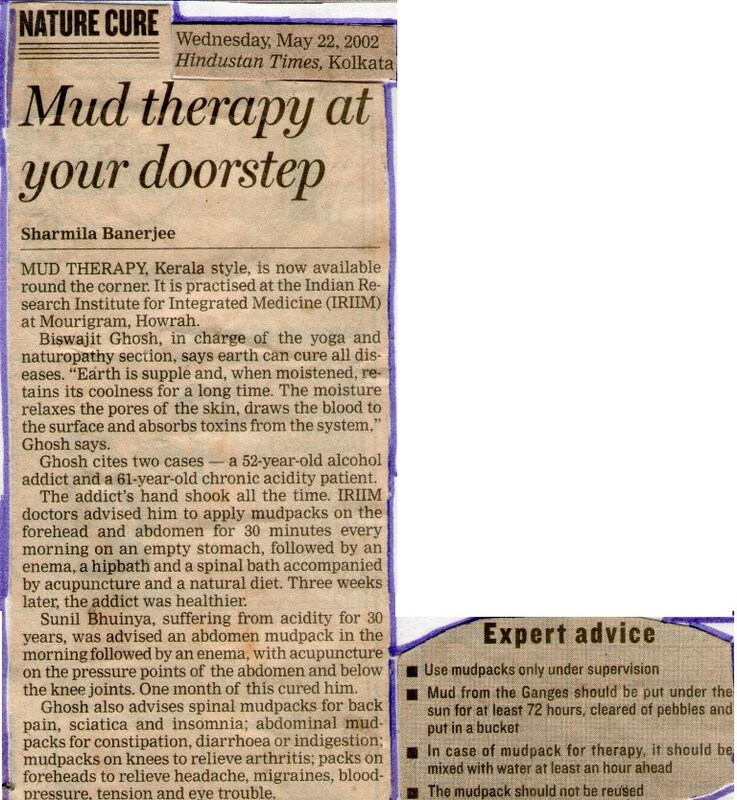 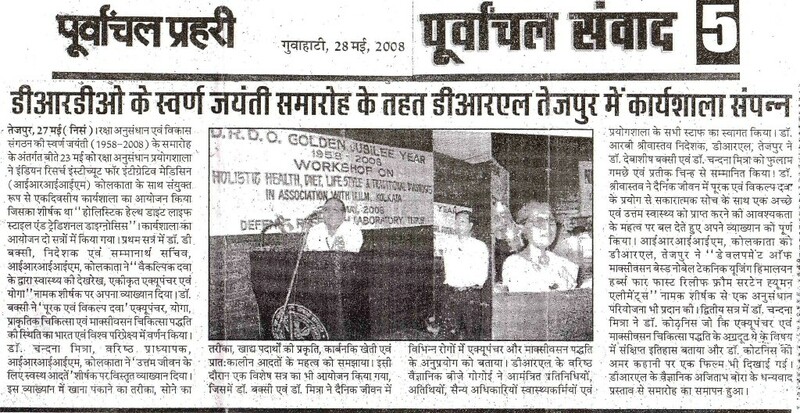 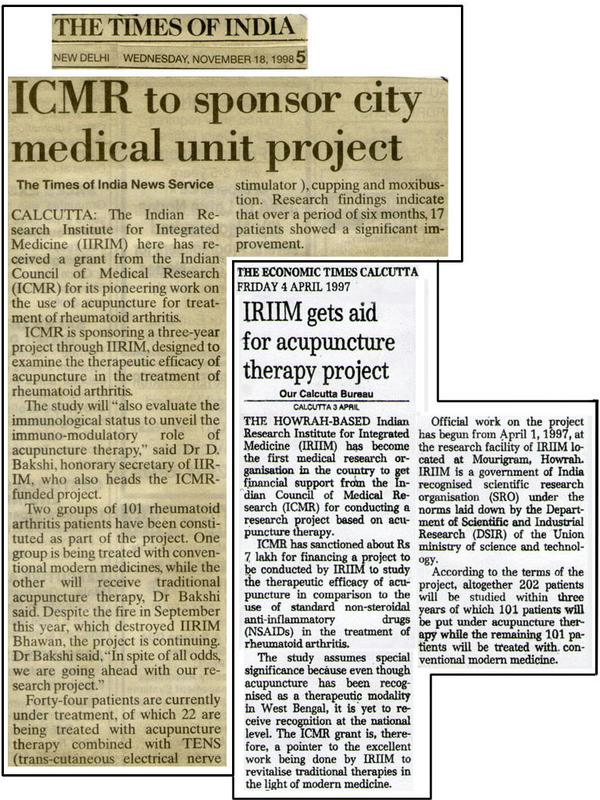 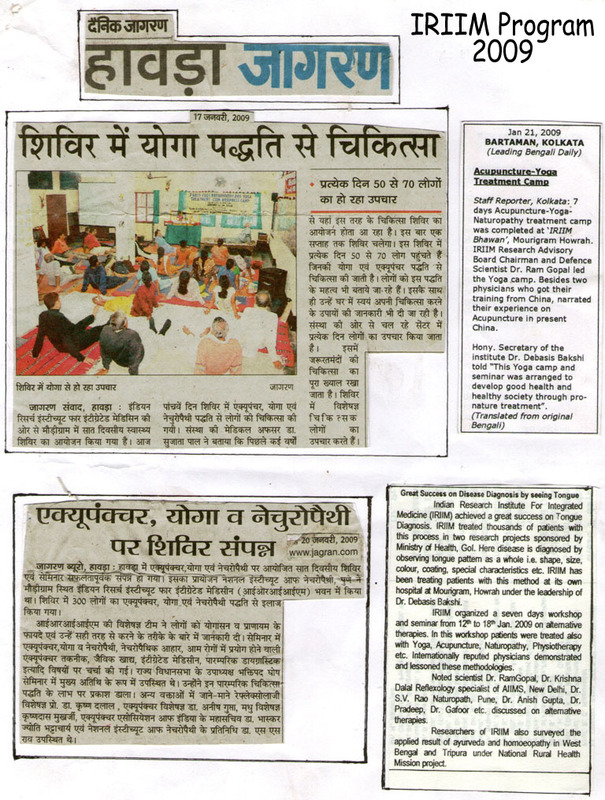 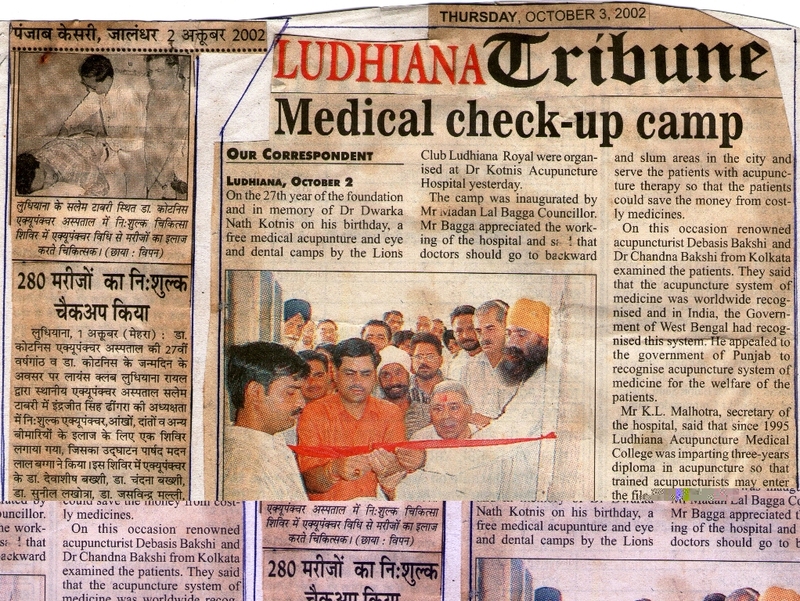 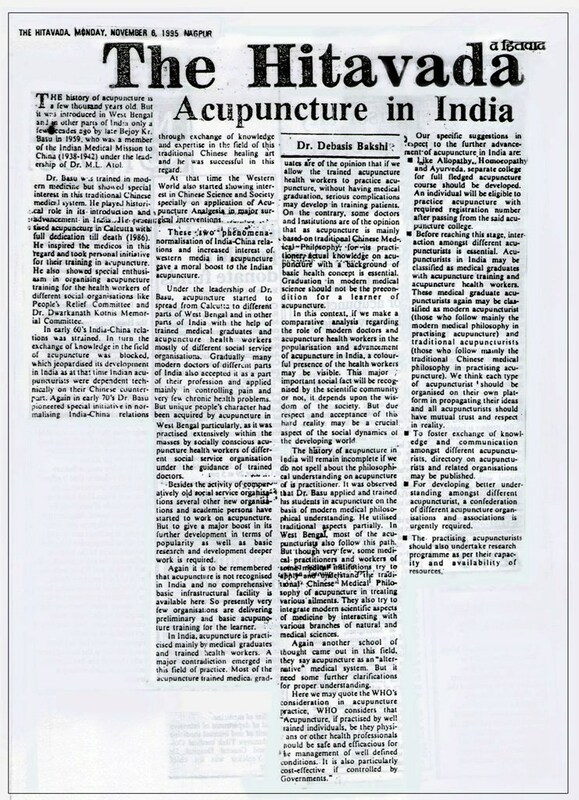 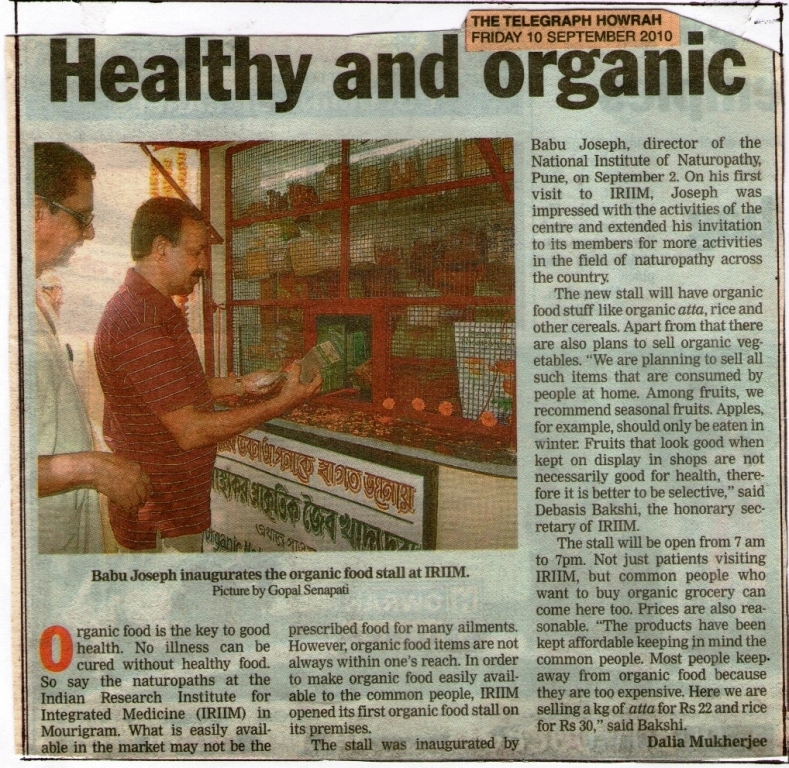 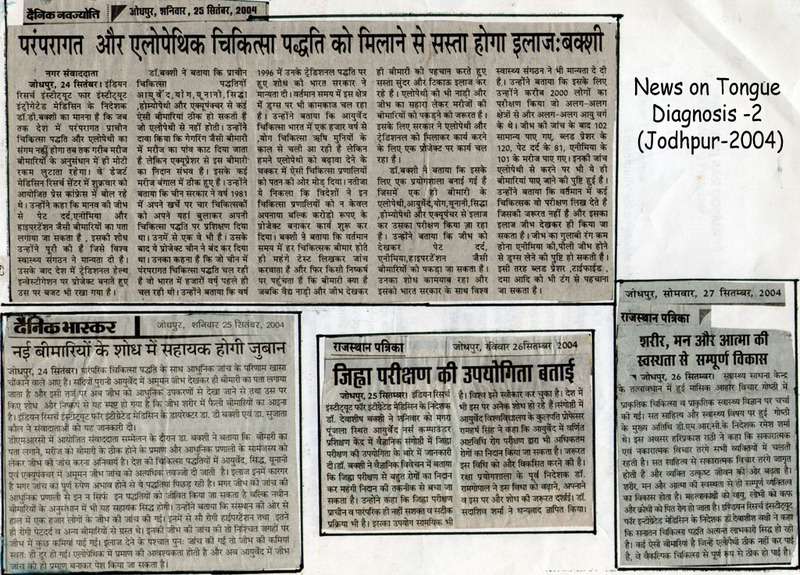 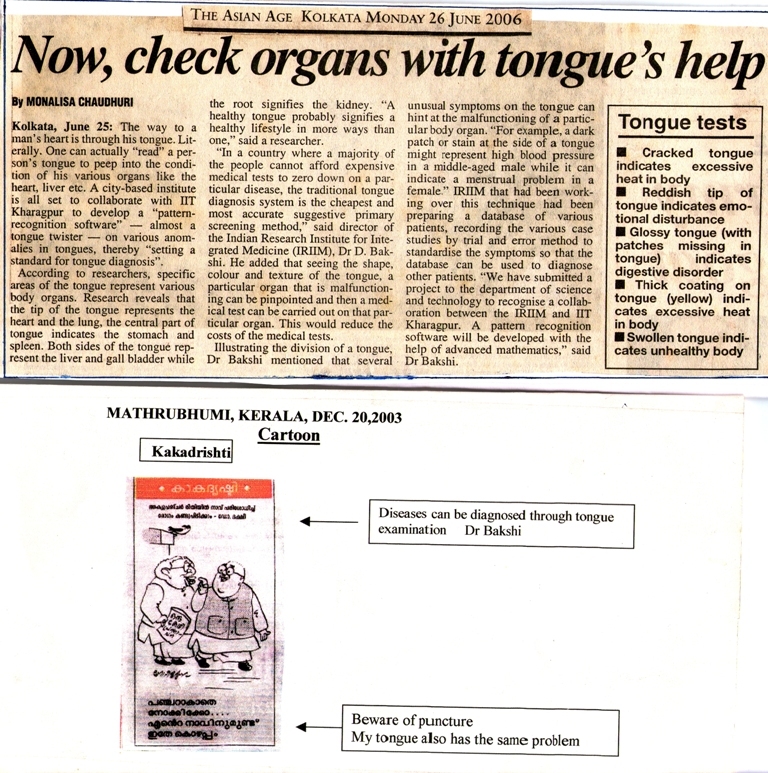 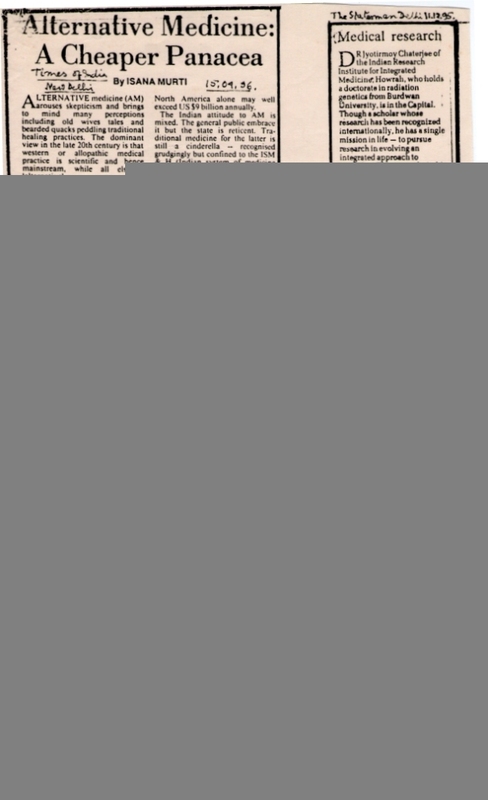 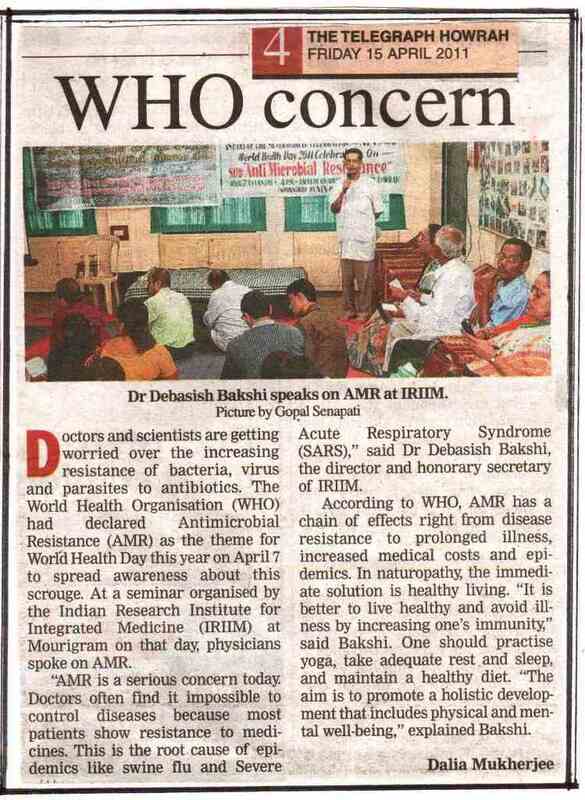 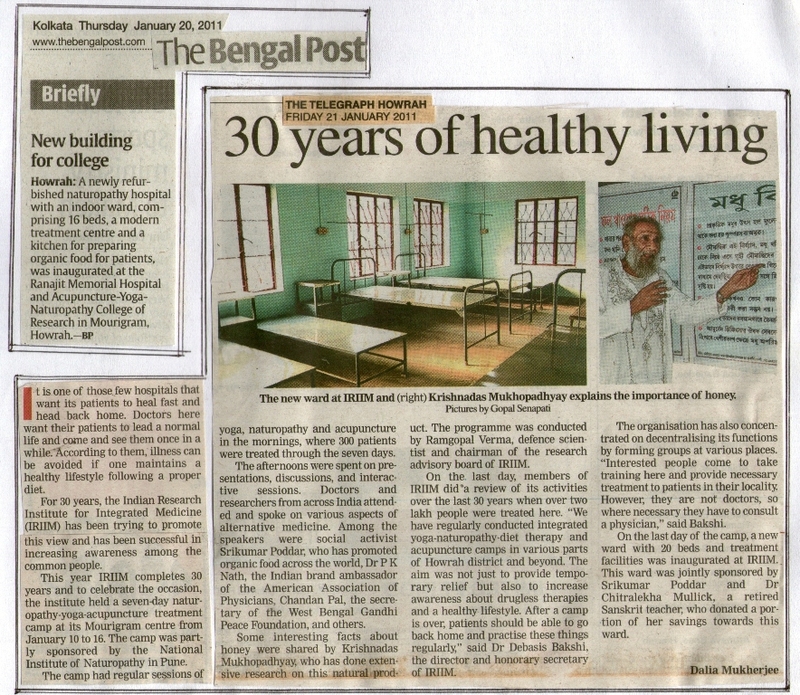 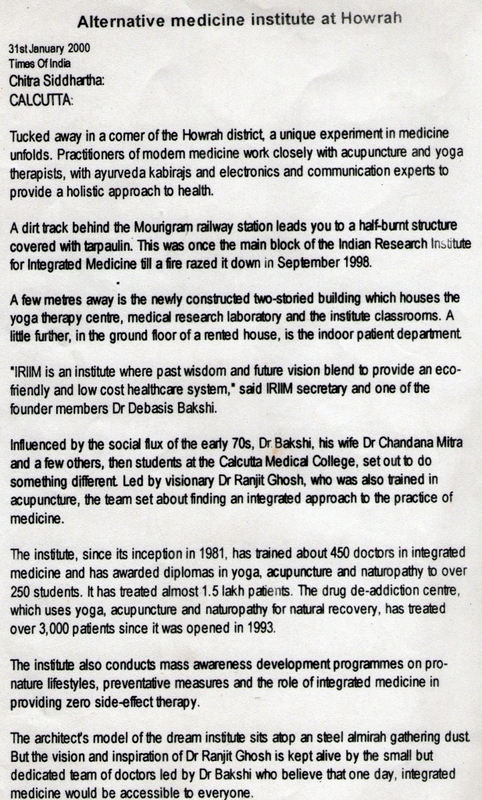 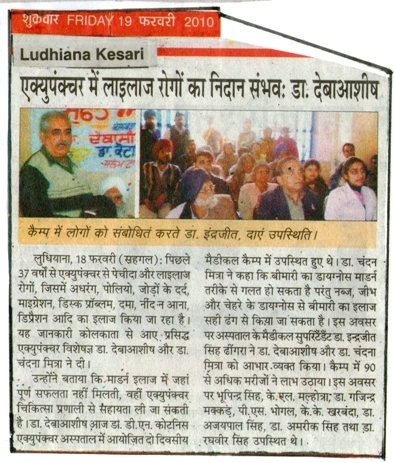 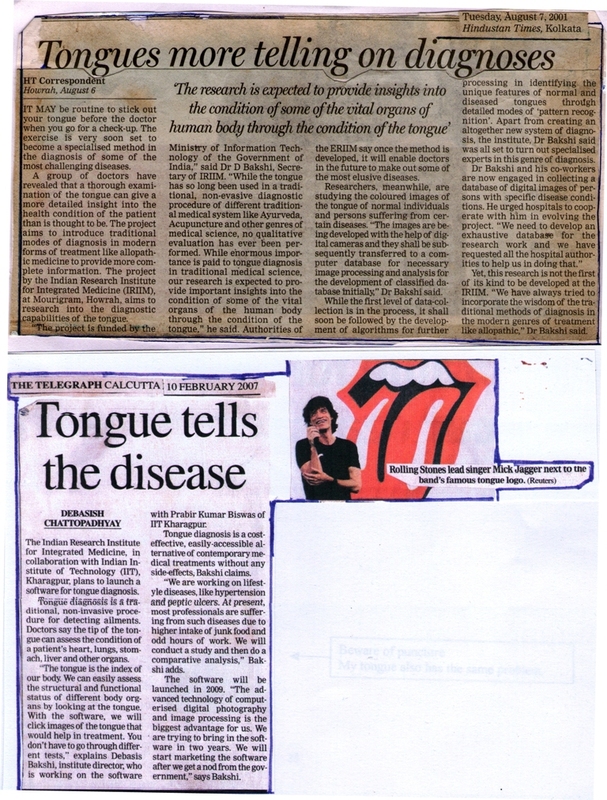 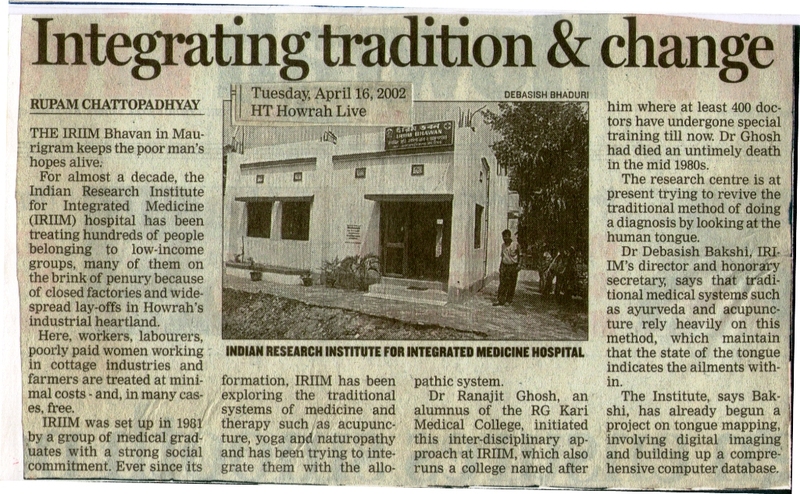 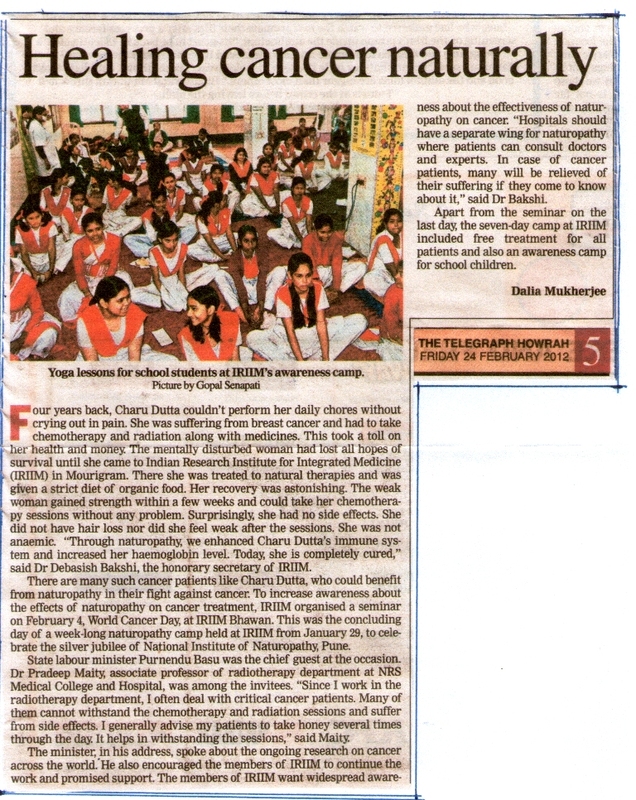 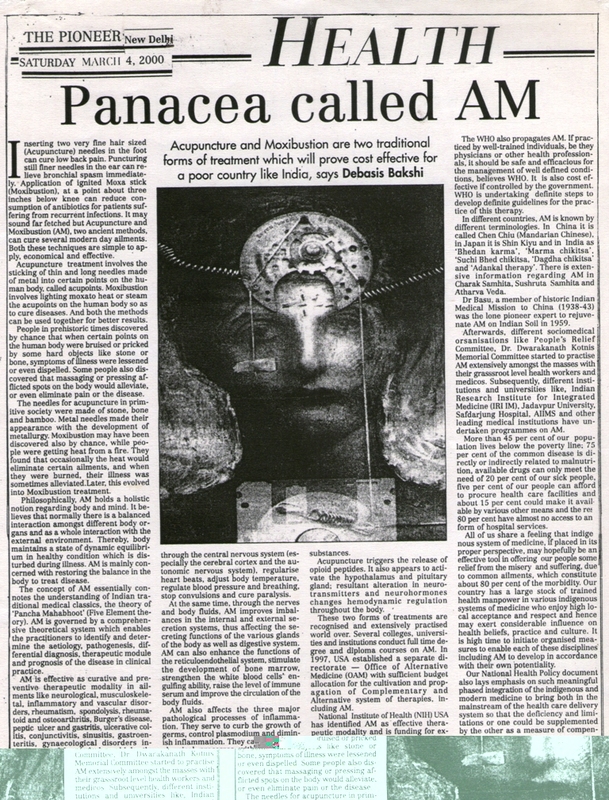 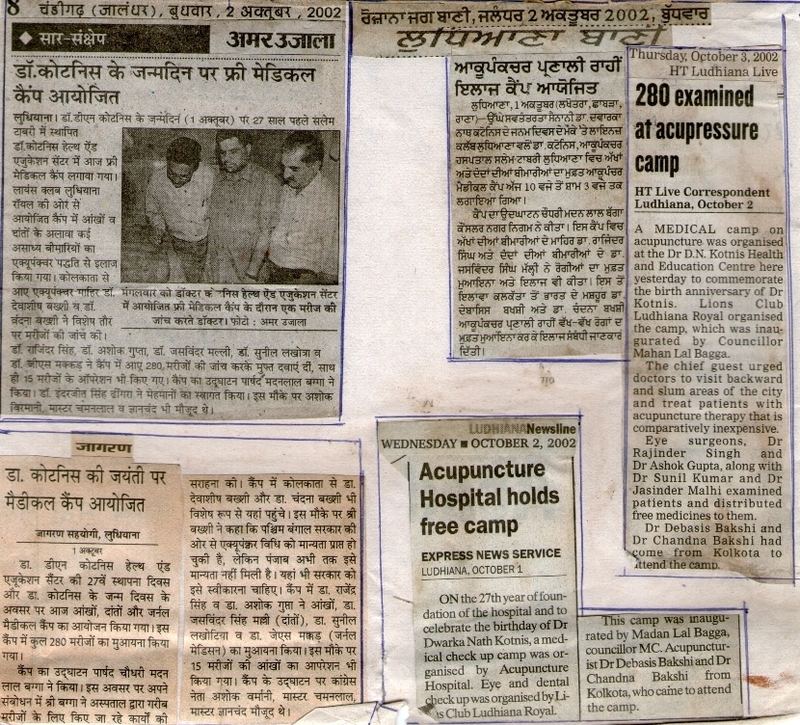 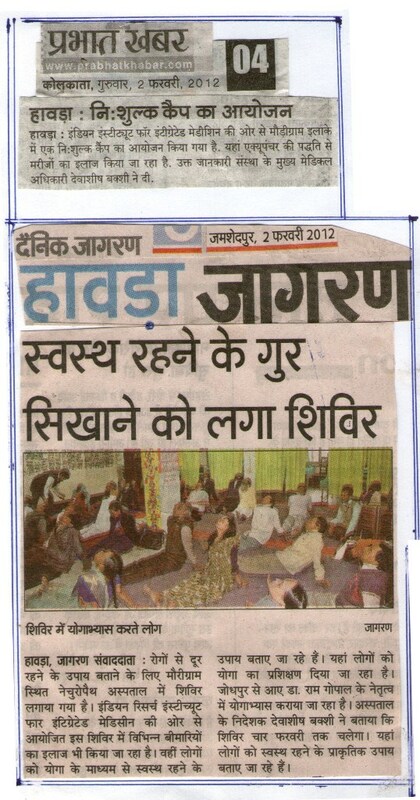 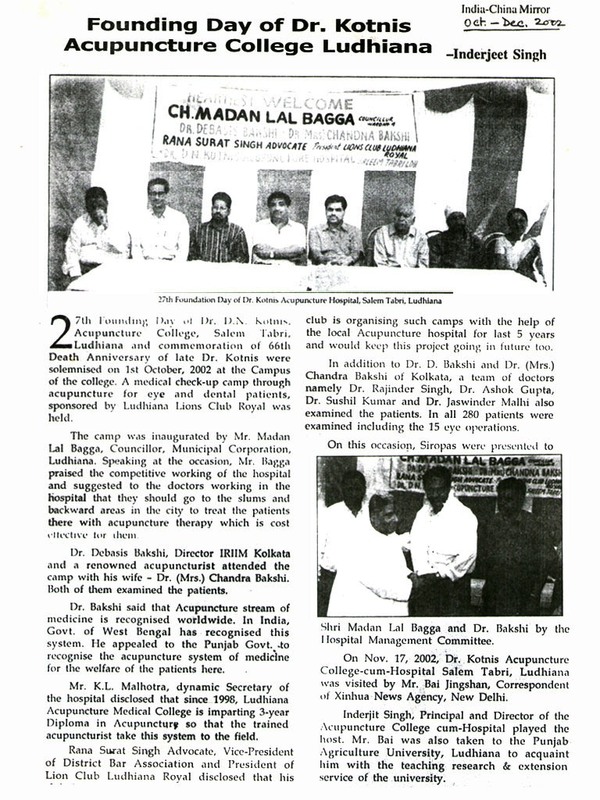 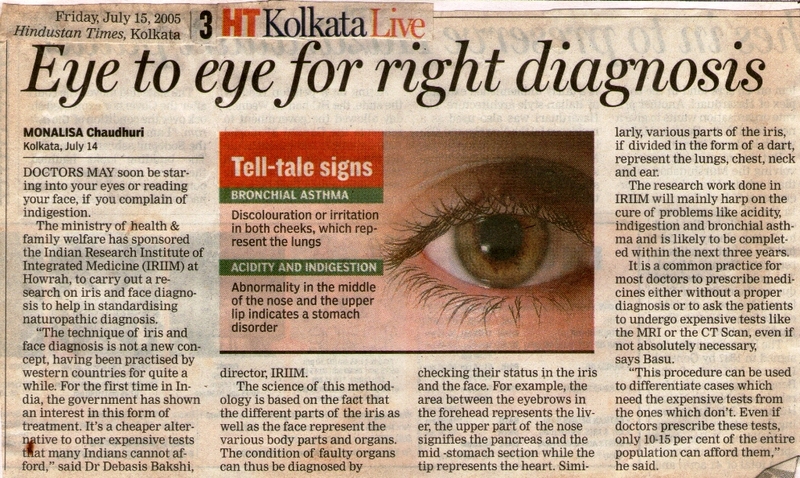 9 E Alternative Medicine Institute at Howrah 31 Jan. 2000 The Times Of India, Kol. 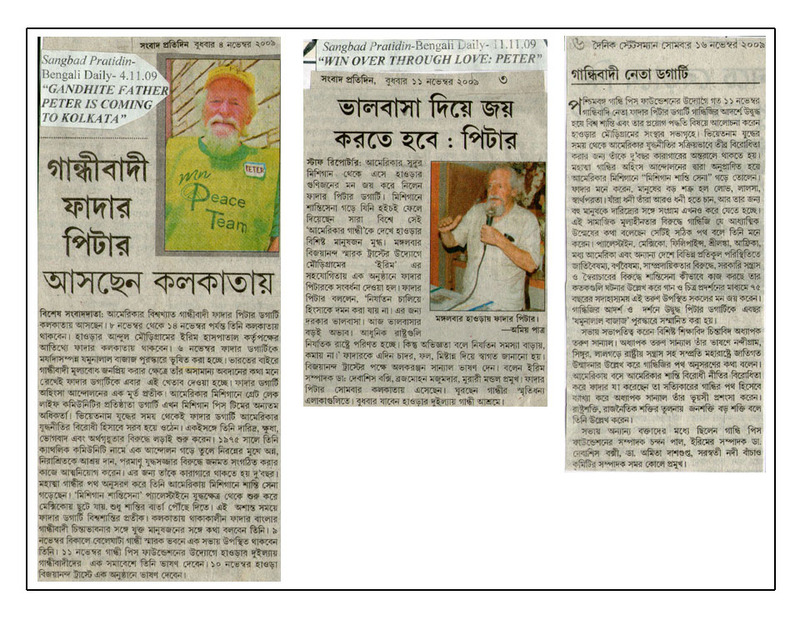 8 E Men of True Mettle 18 Apr. 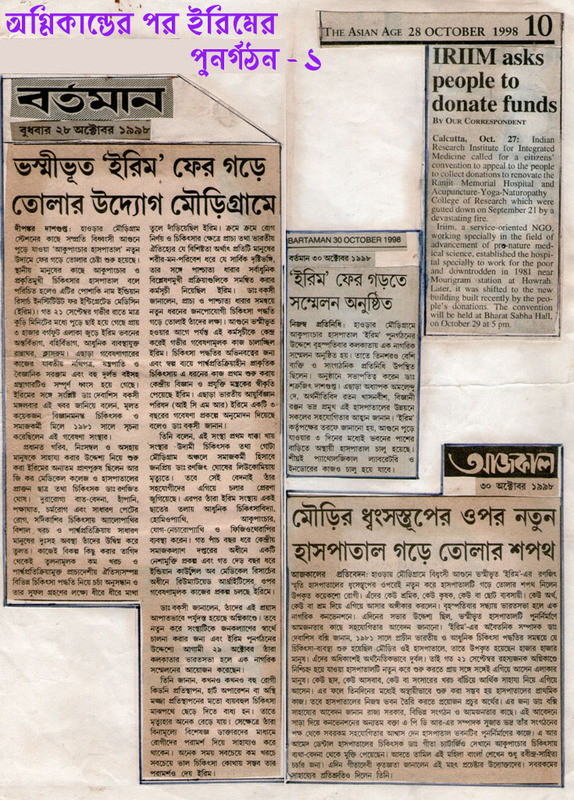 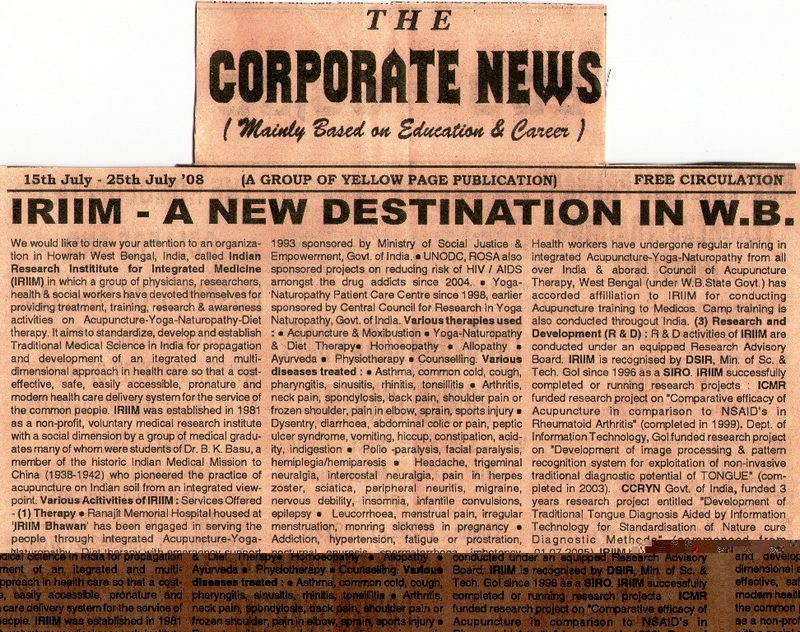 1999 The Economic Times, Kol. 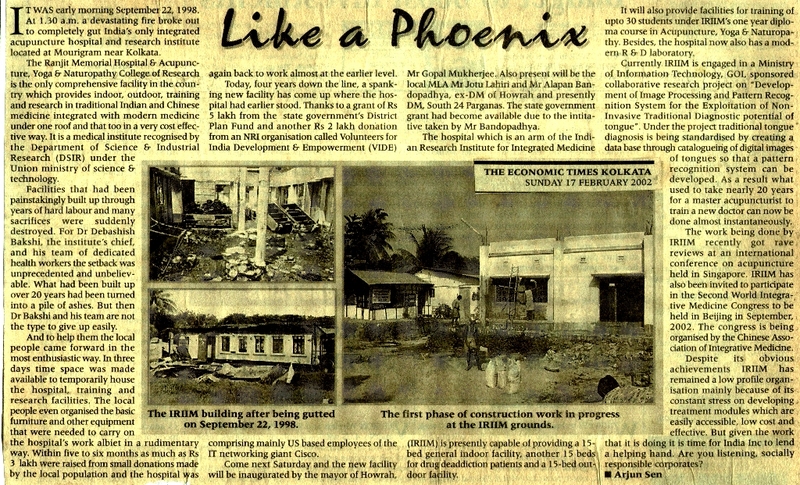 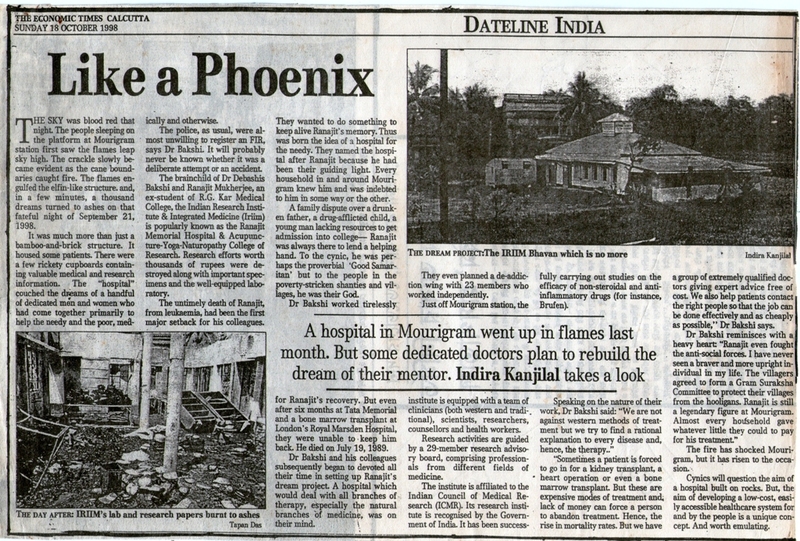 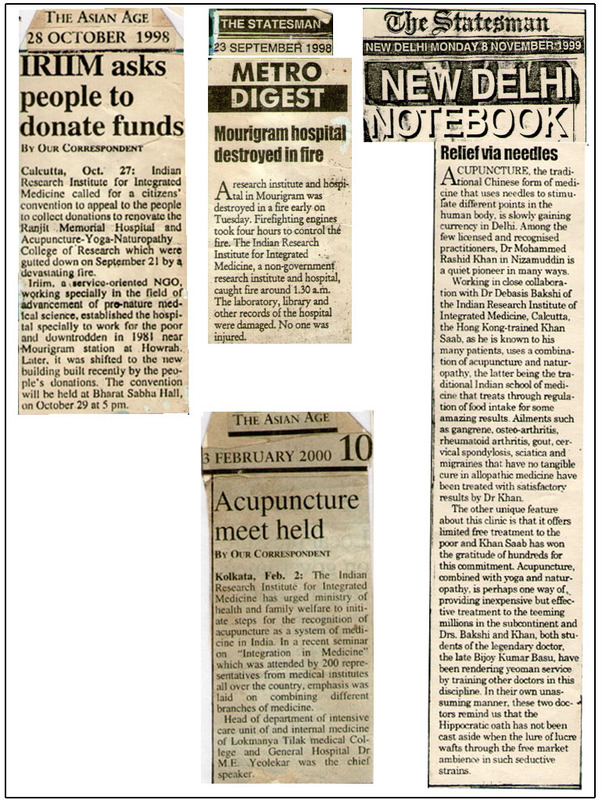 6 E Mourigram Hospital destroyed in fire, IRIIM asks people to donate funds, Relief via needles & Acupuncture meet held 23 Sep. & 28 Oct. 1998 8 Nov. 1999 & 3 Feb. 2000 The Statesman, Kol. 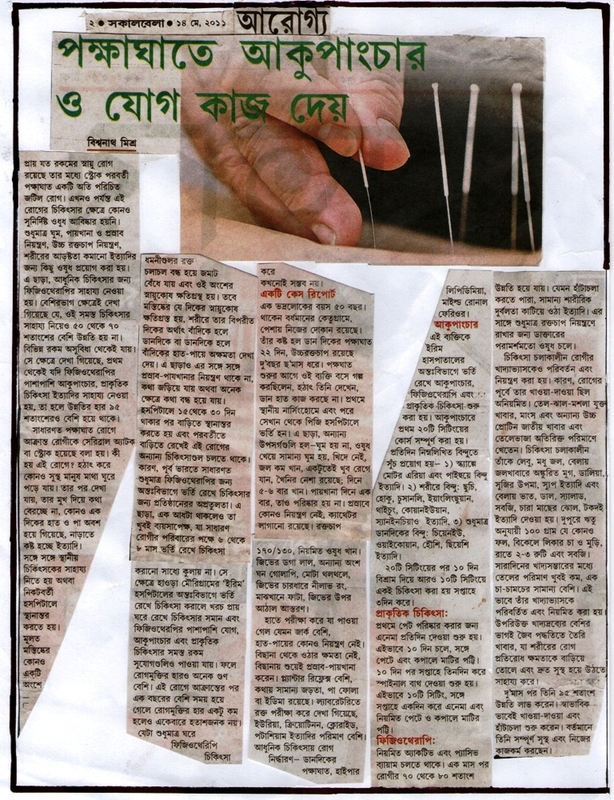 & The Asian Age, Kol.